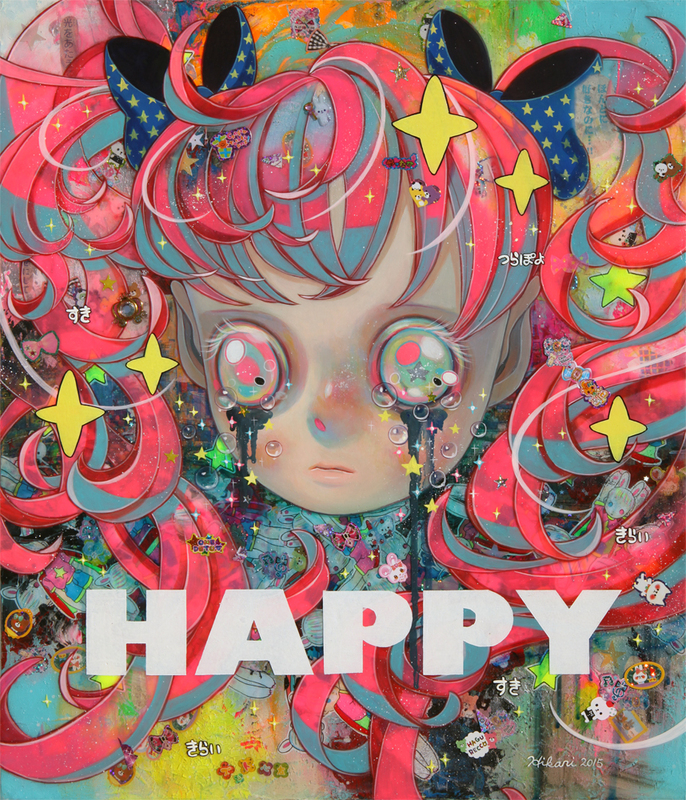 Apportfolio Asia debuts Hikari's new art figure today in two beautiful color ways! 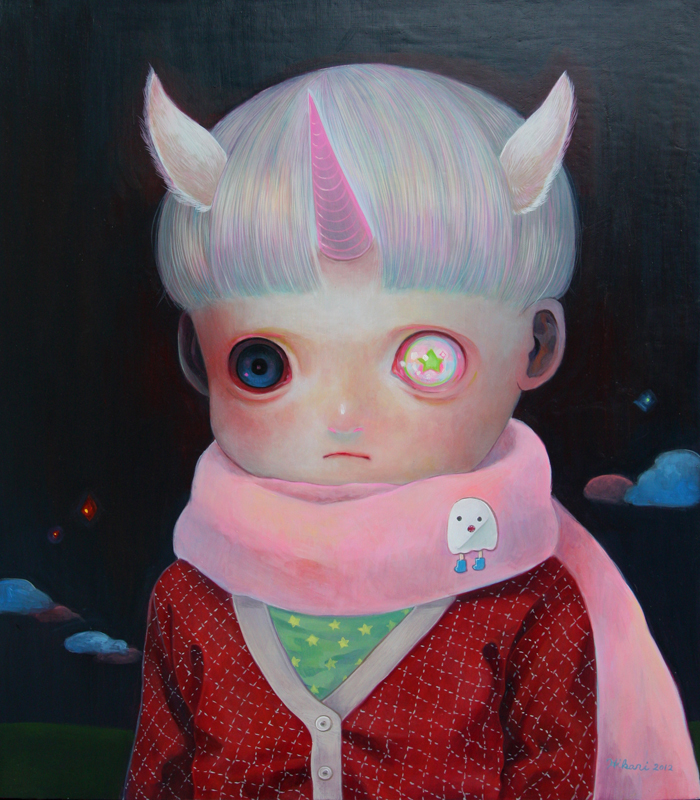 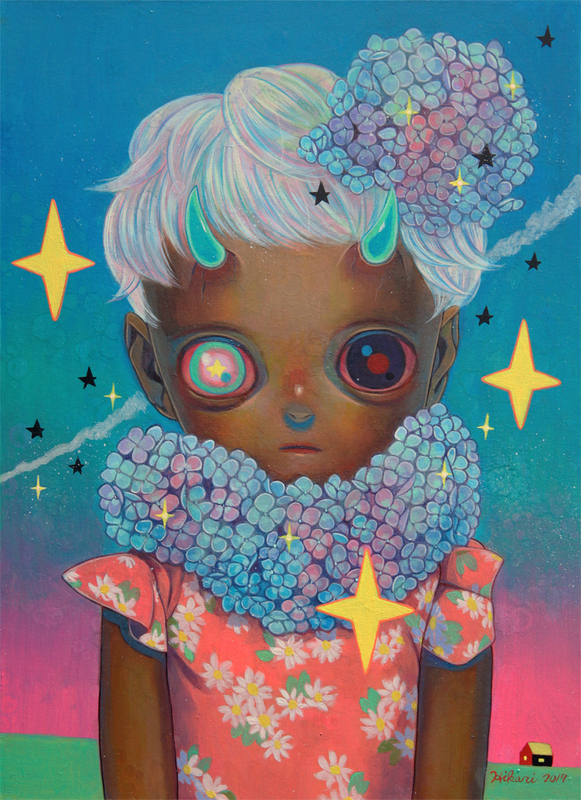 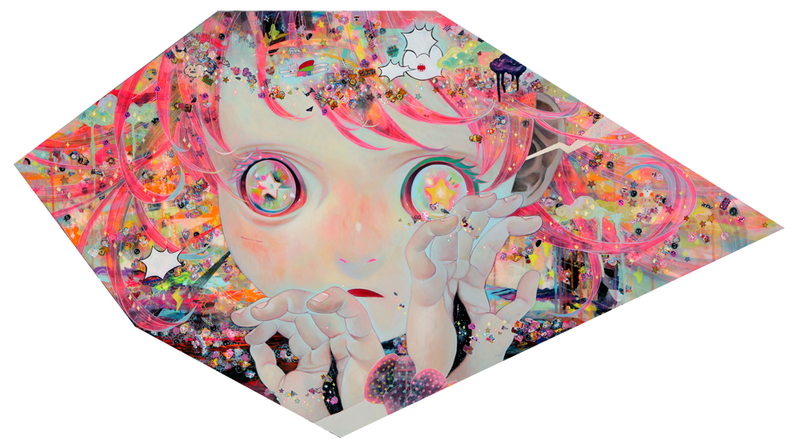 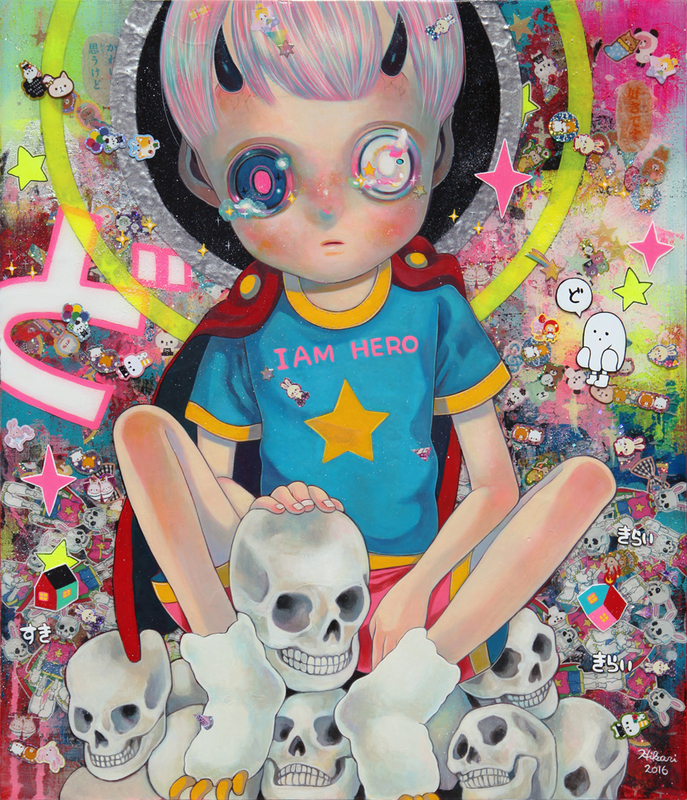 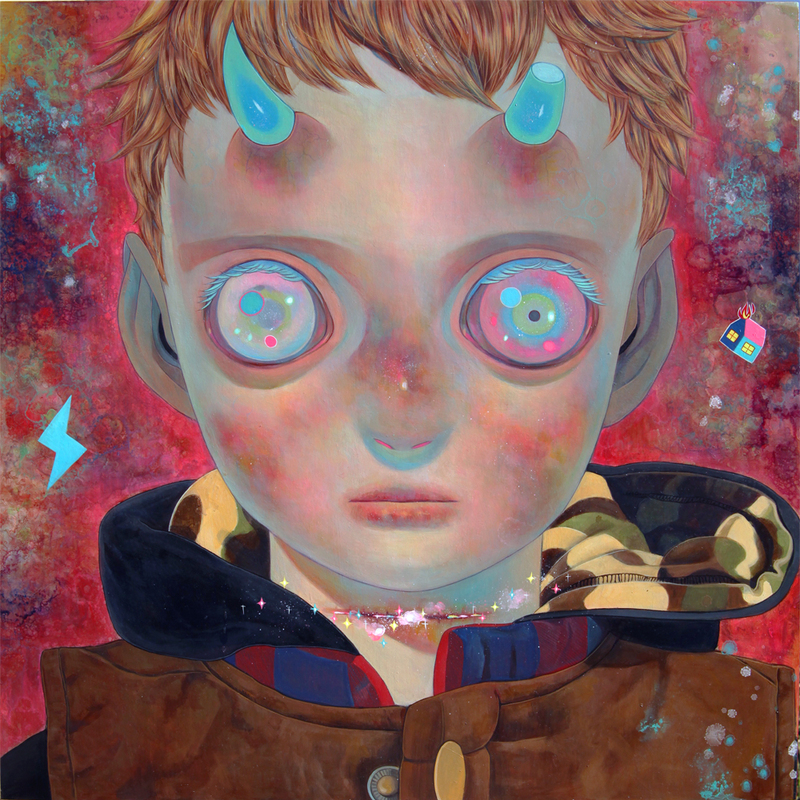 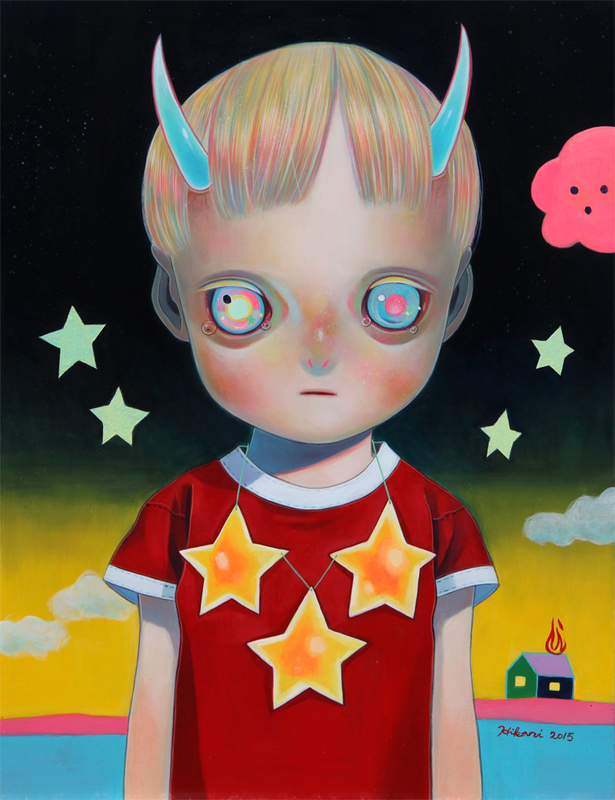 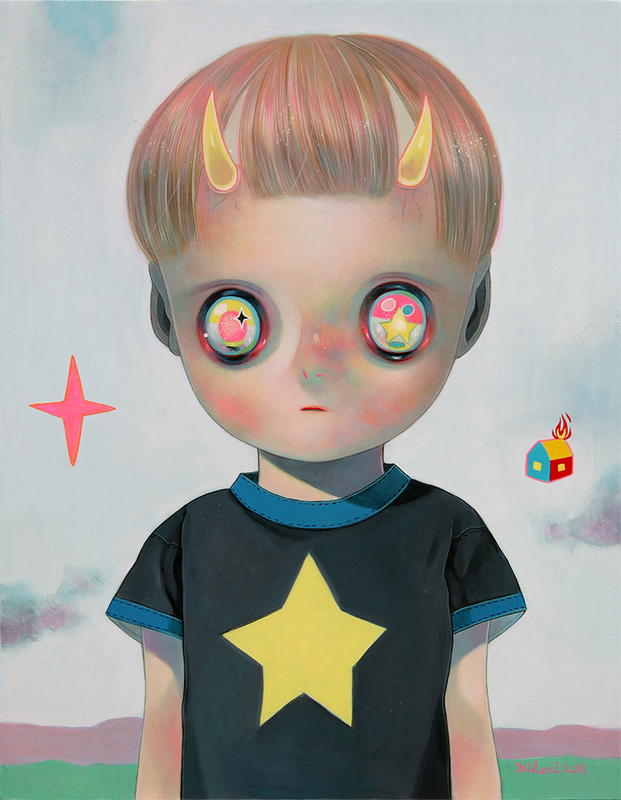 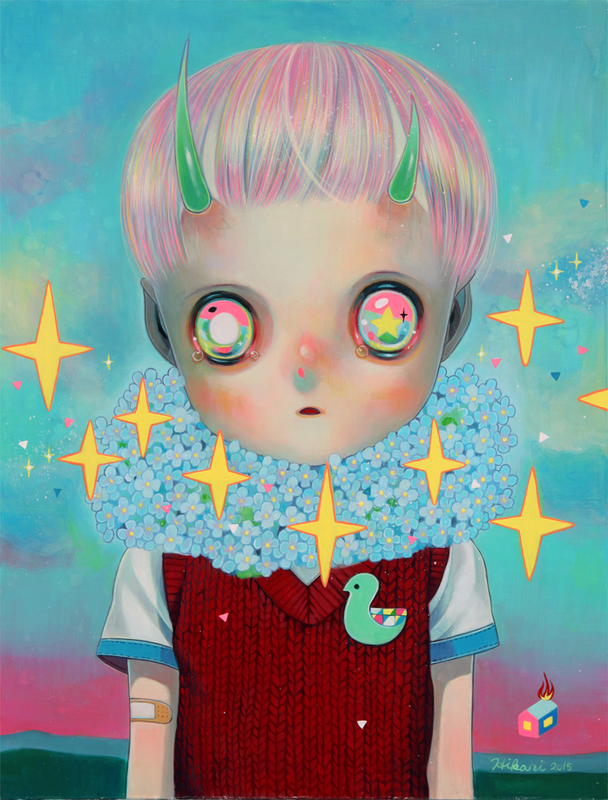 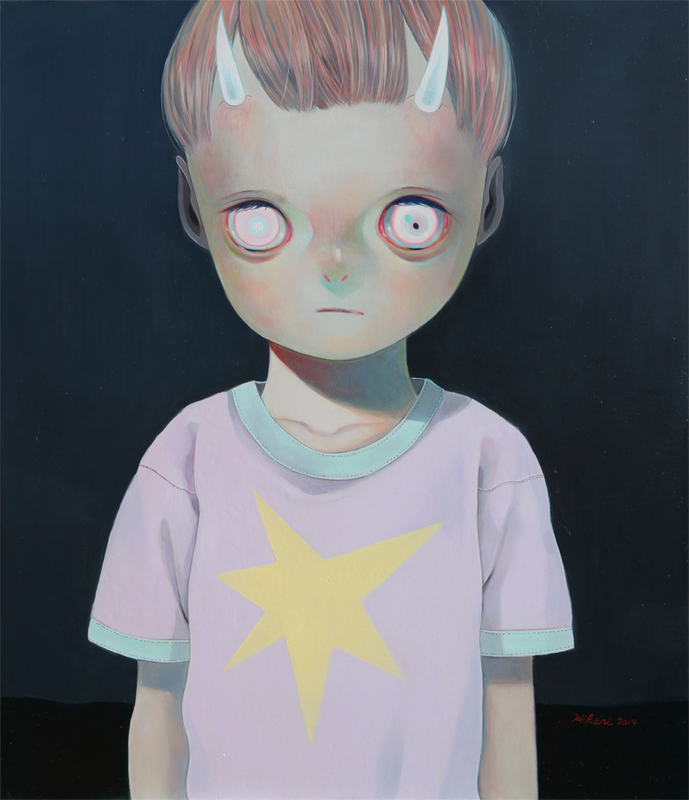 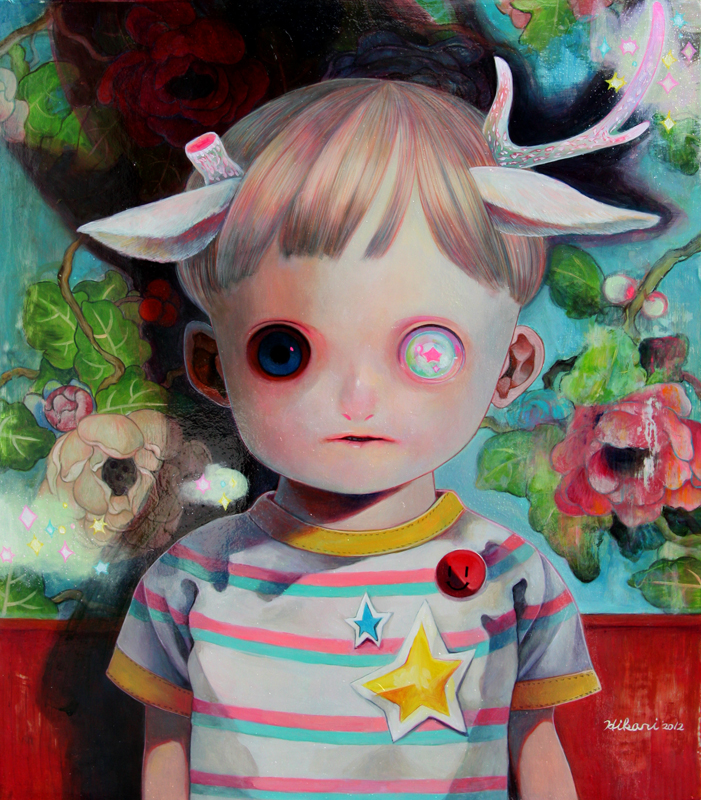 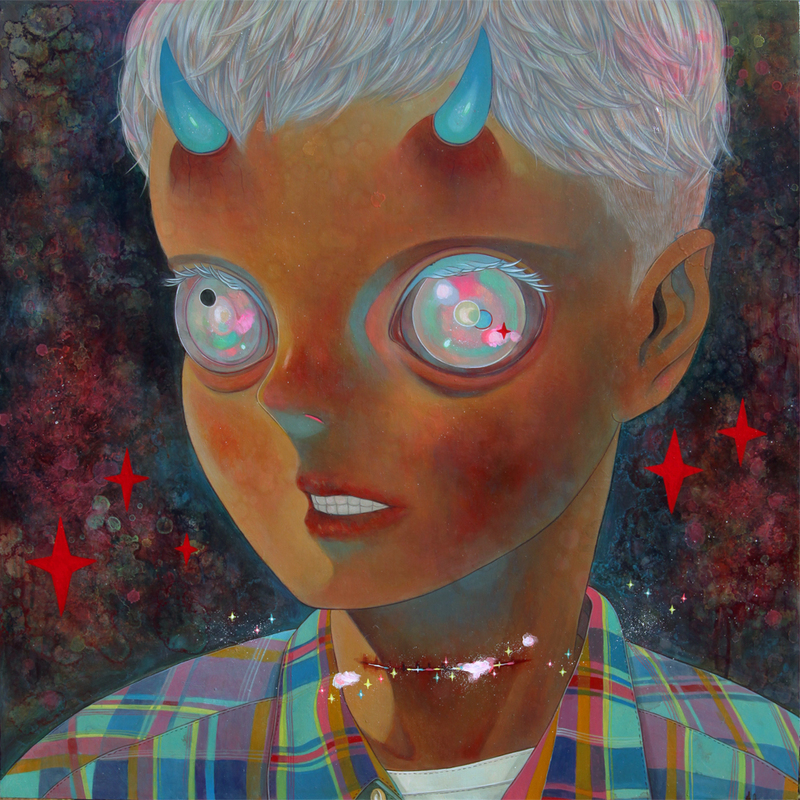 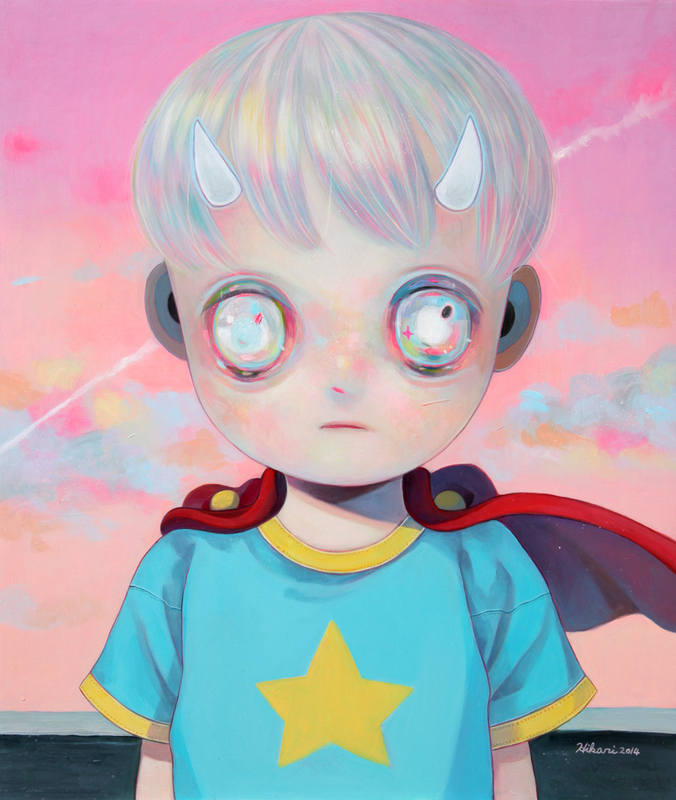 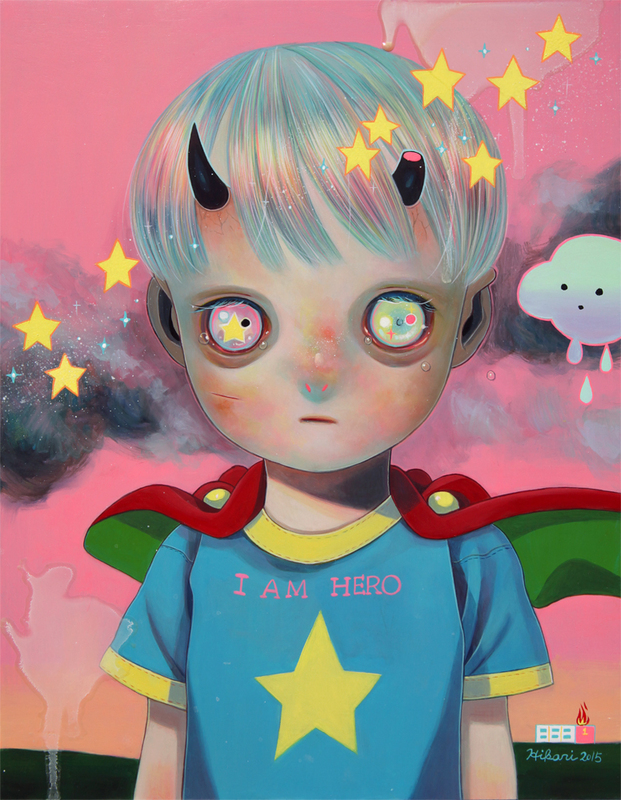 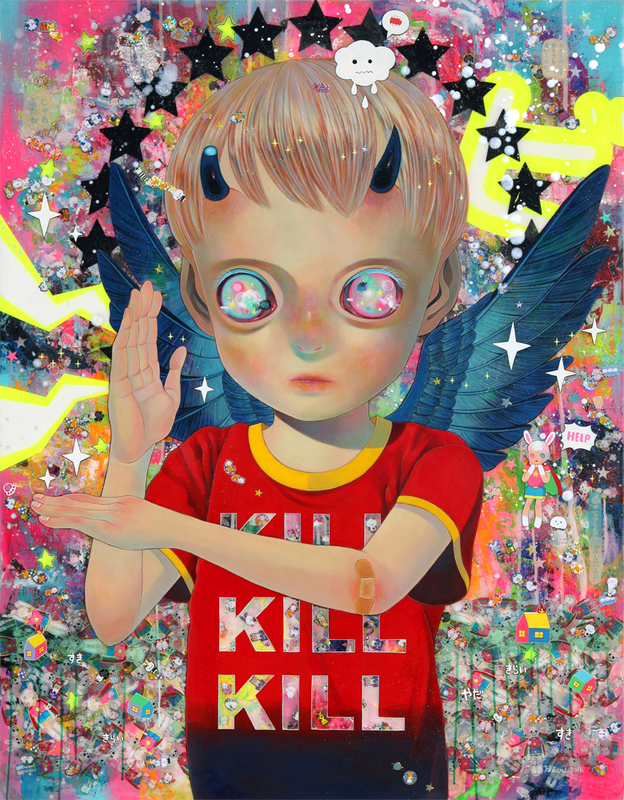 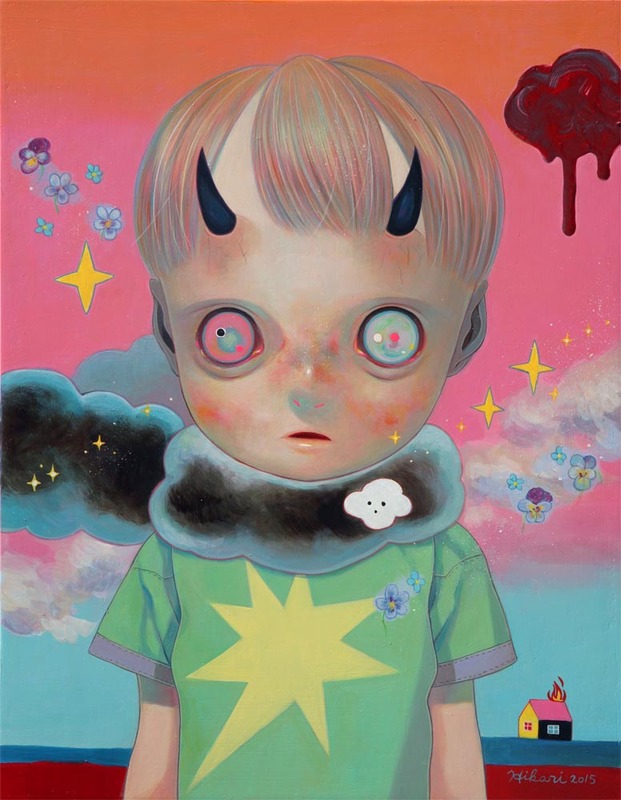 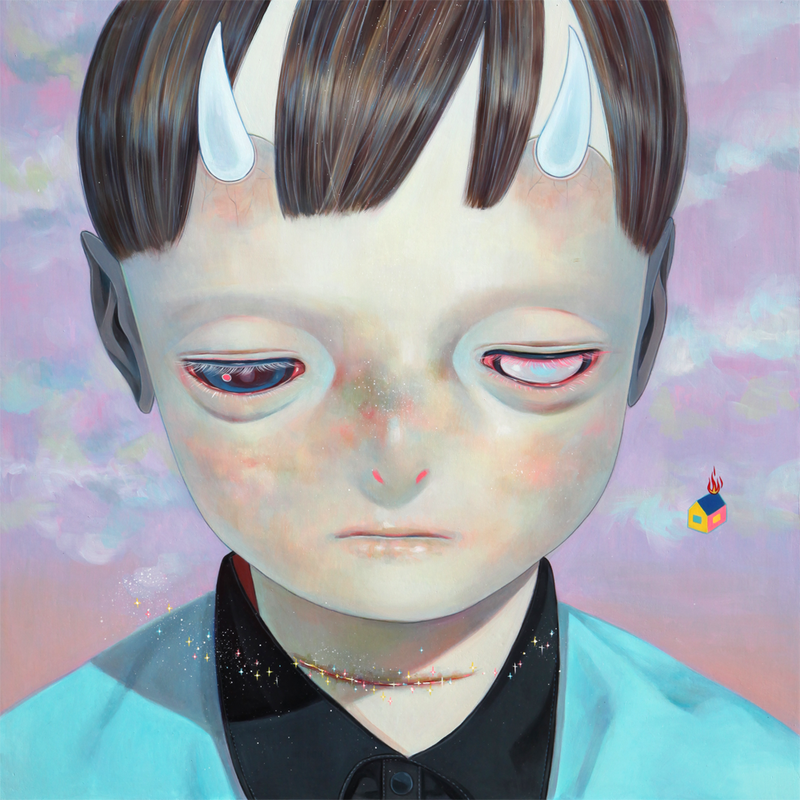 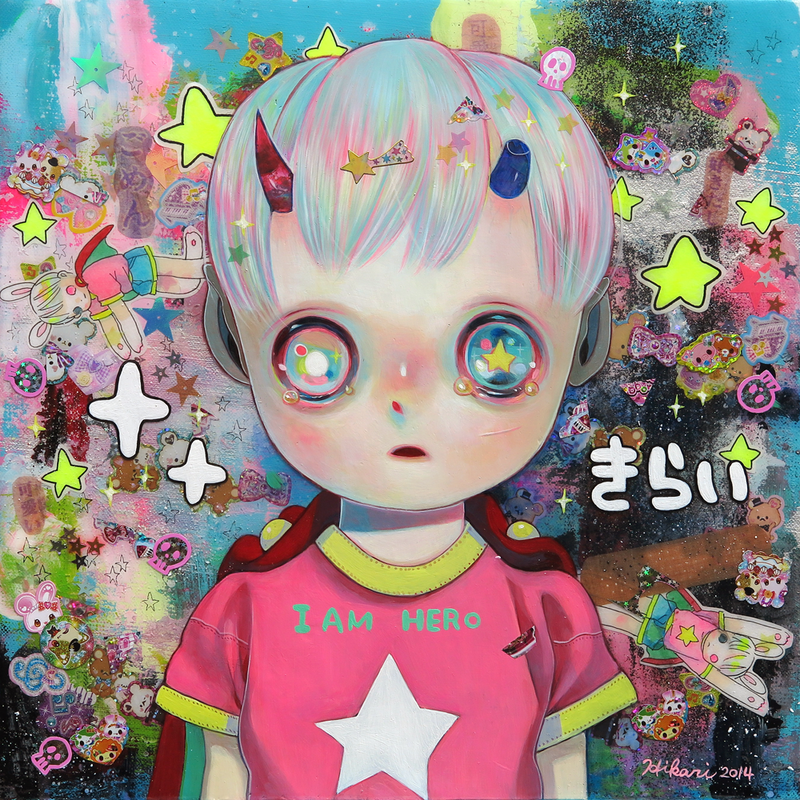 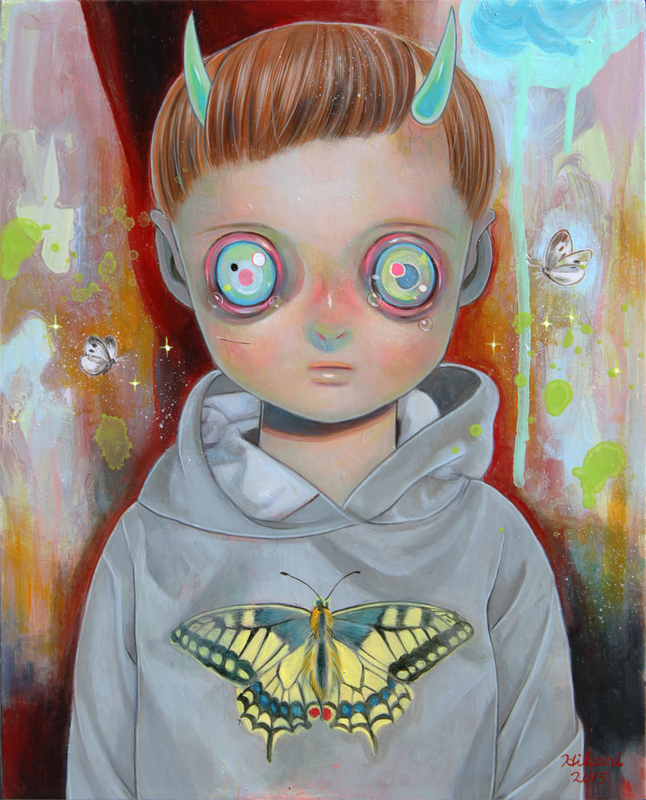 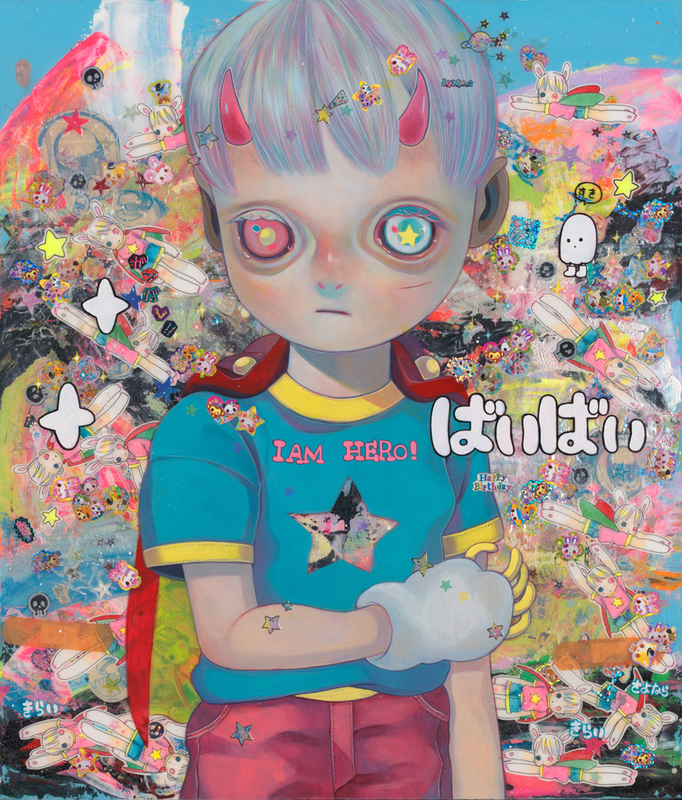 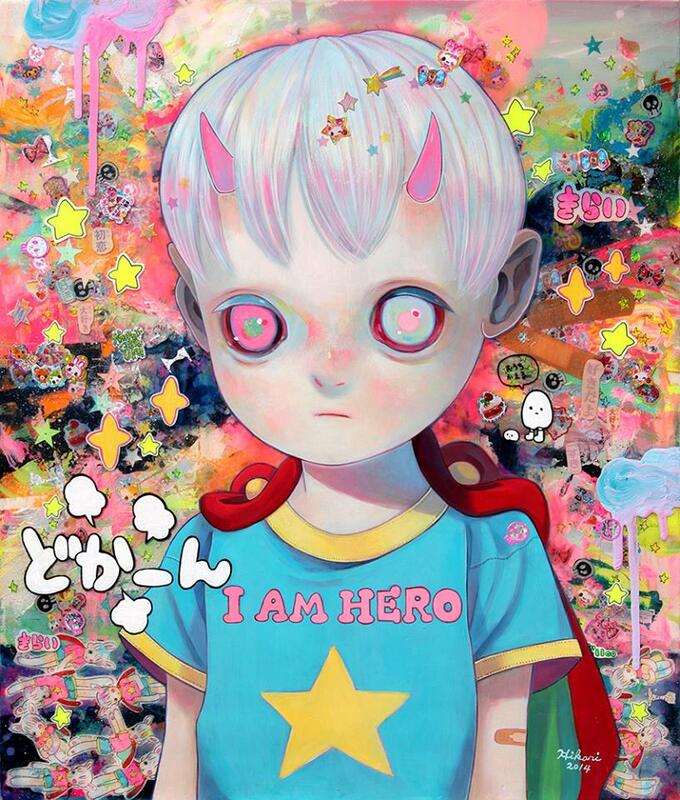 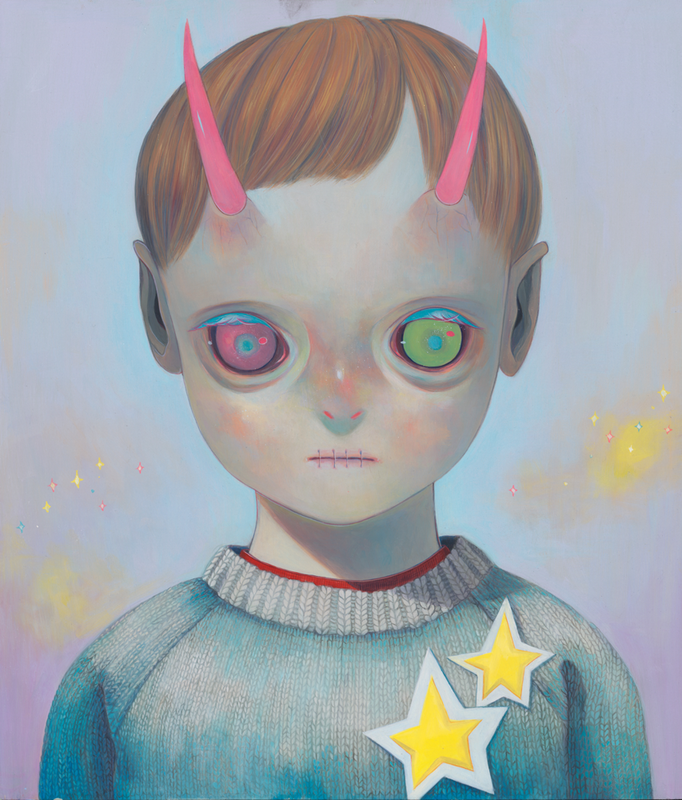 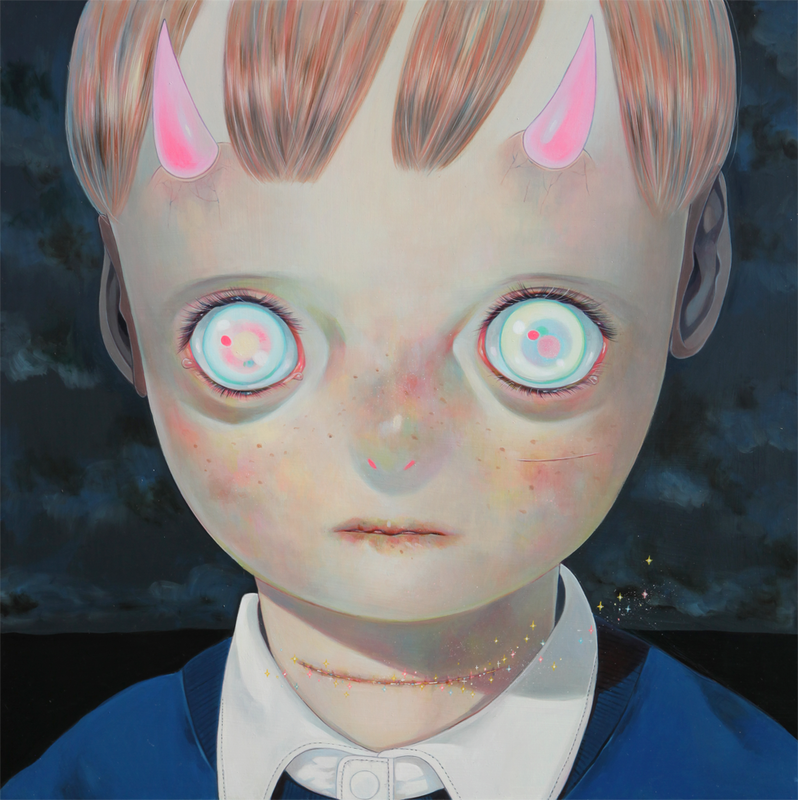 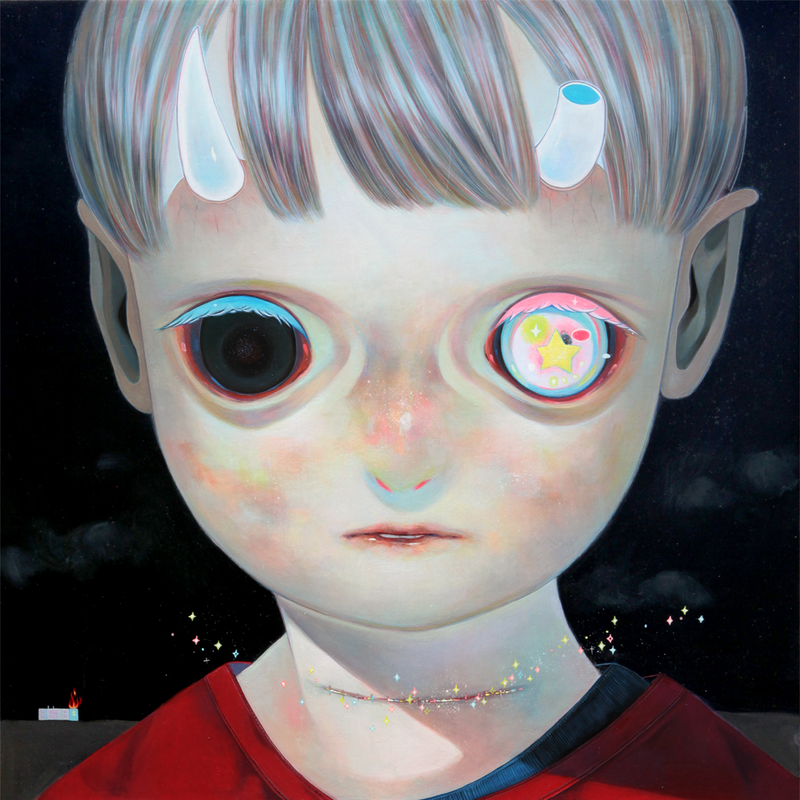 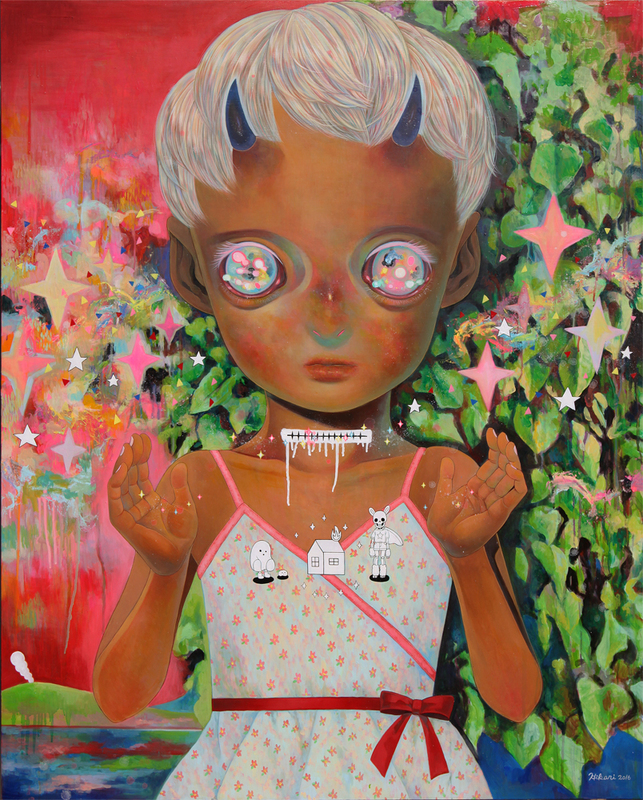 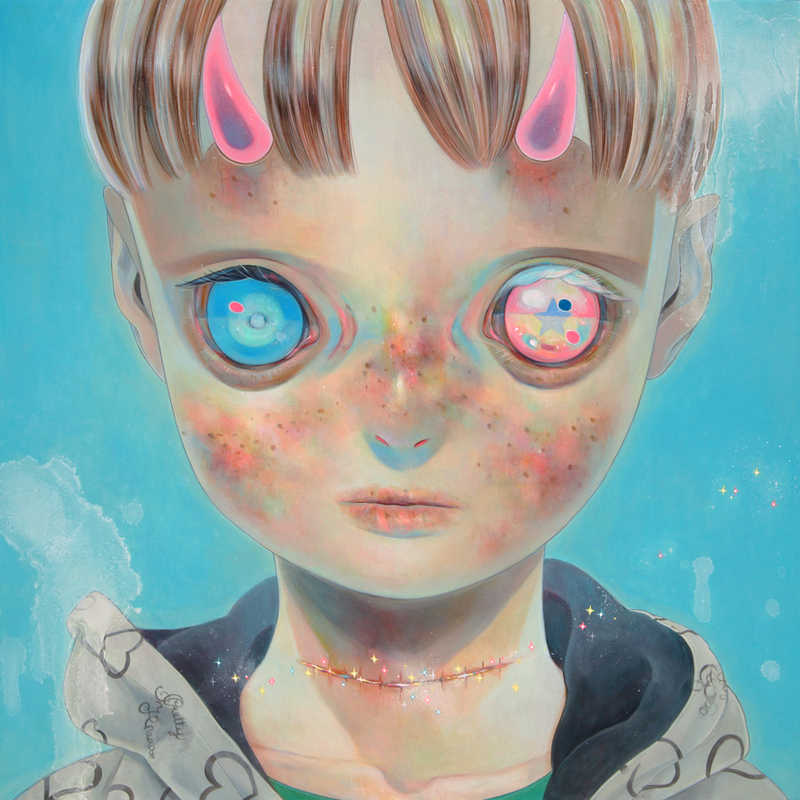 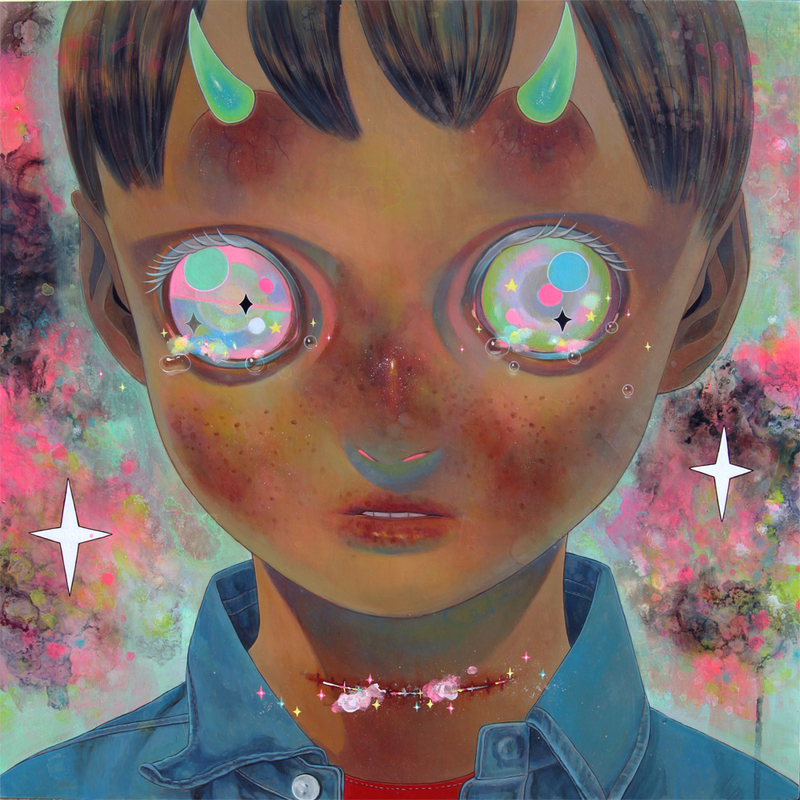 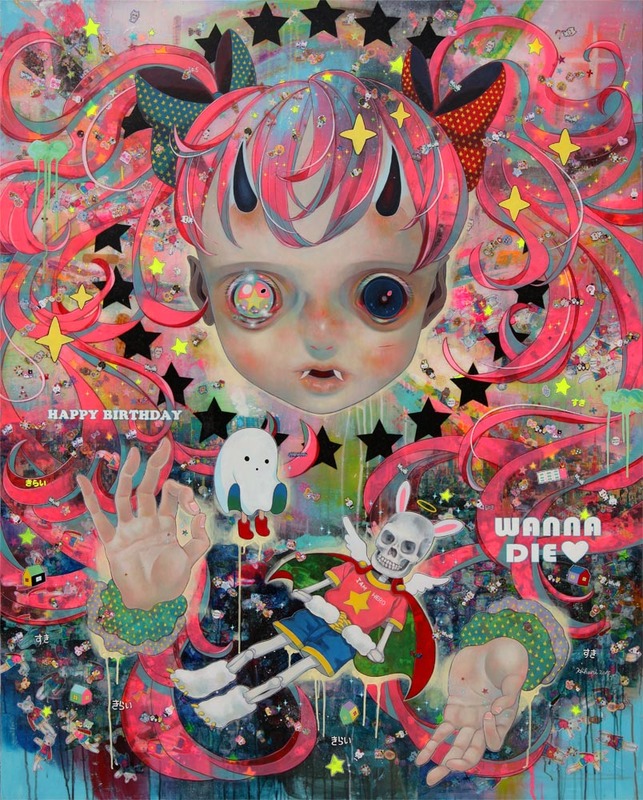 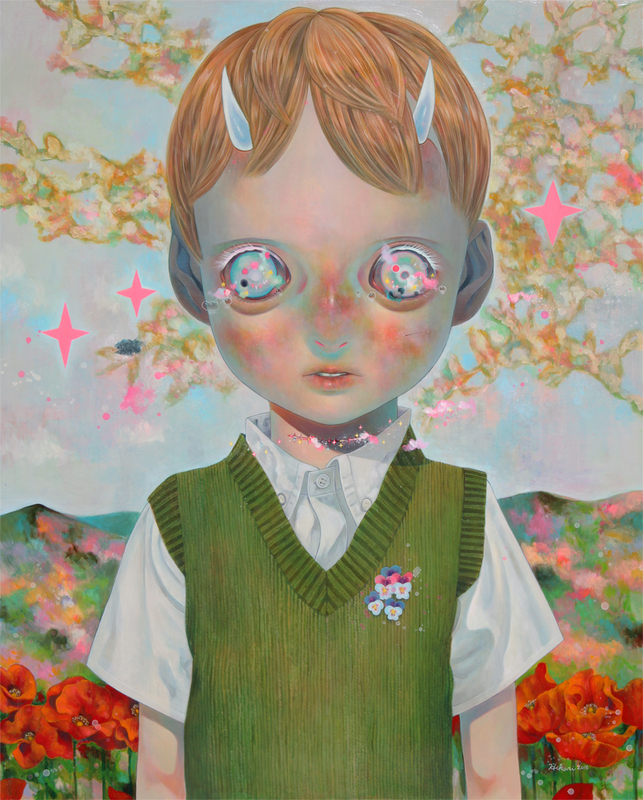 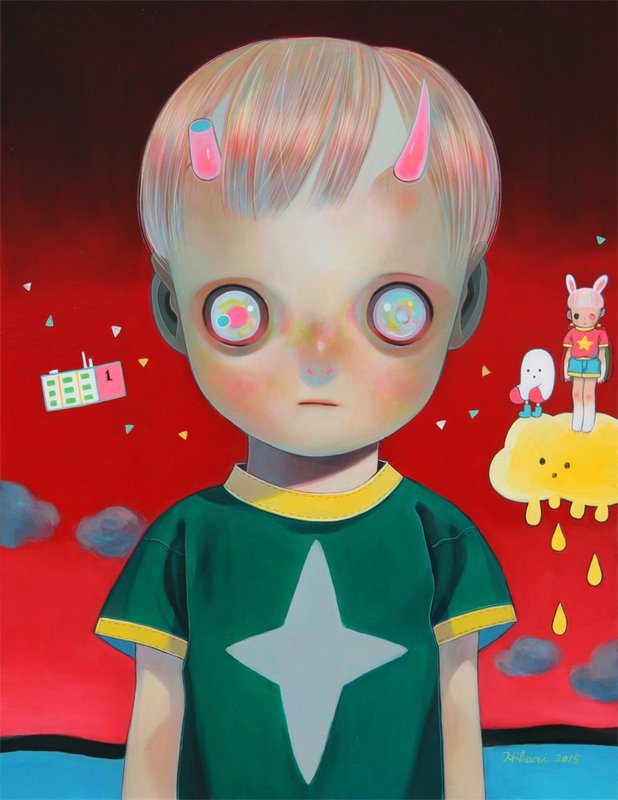 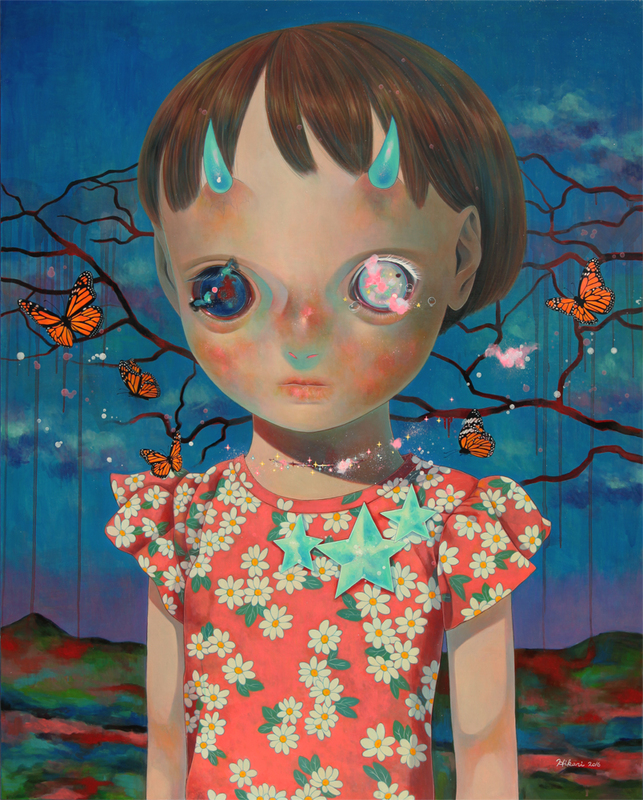 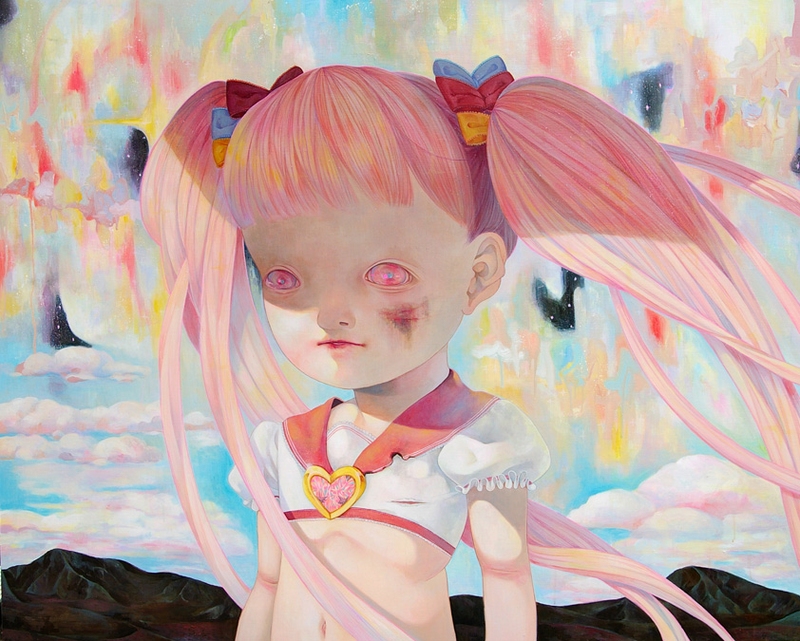 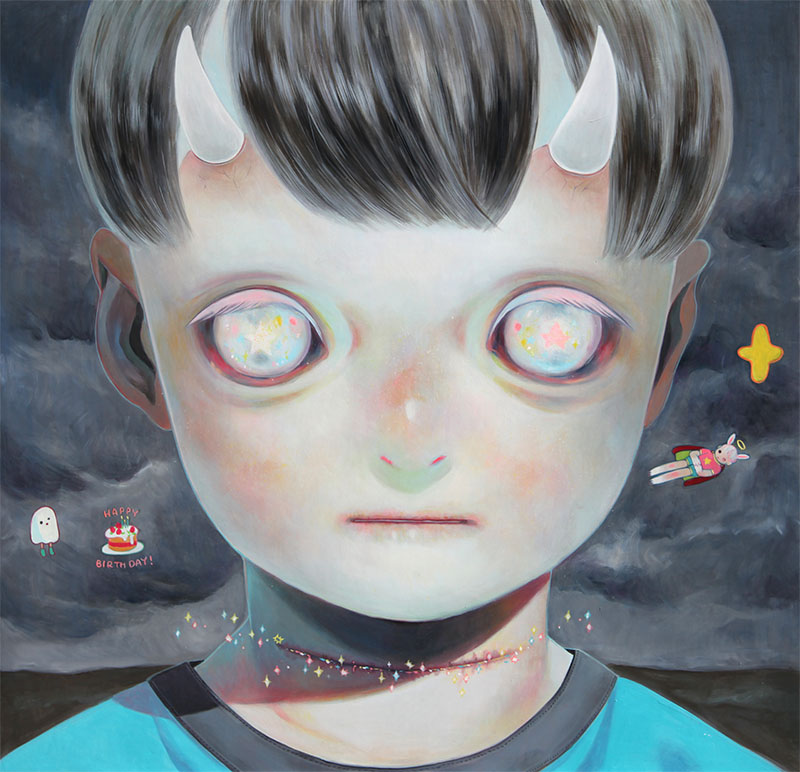 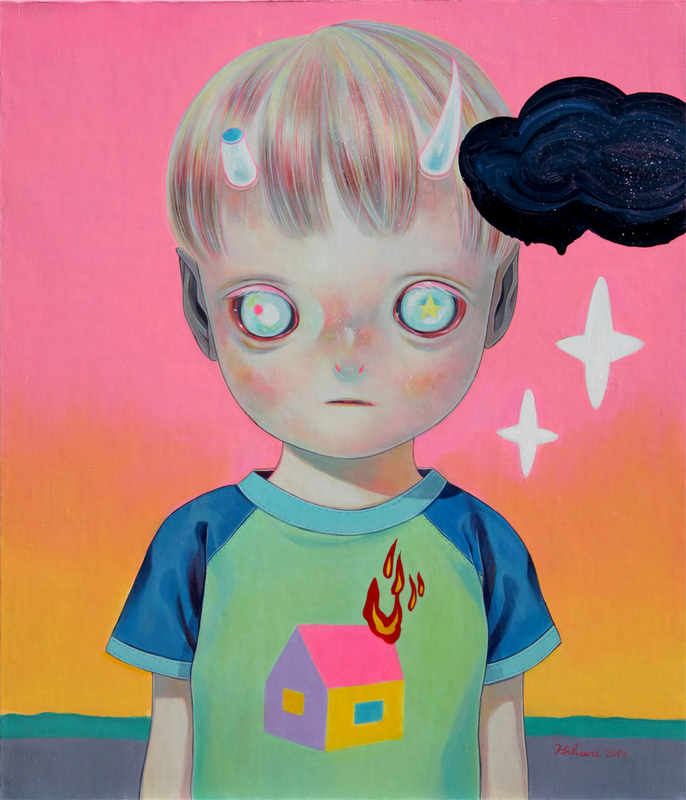 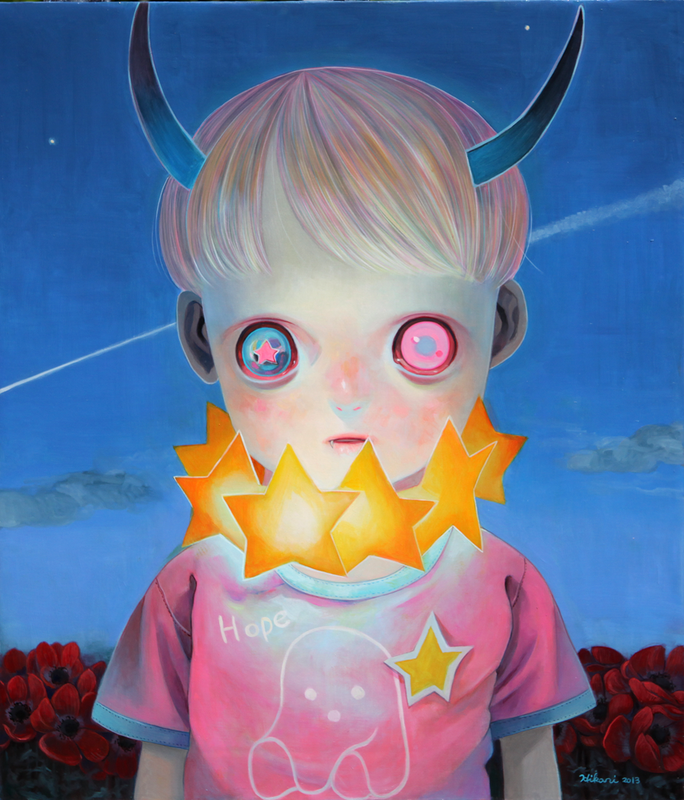 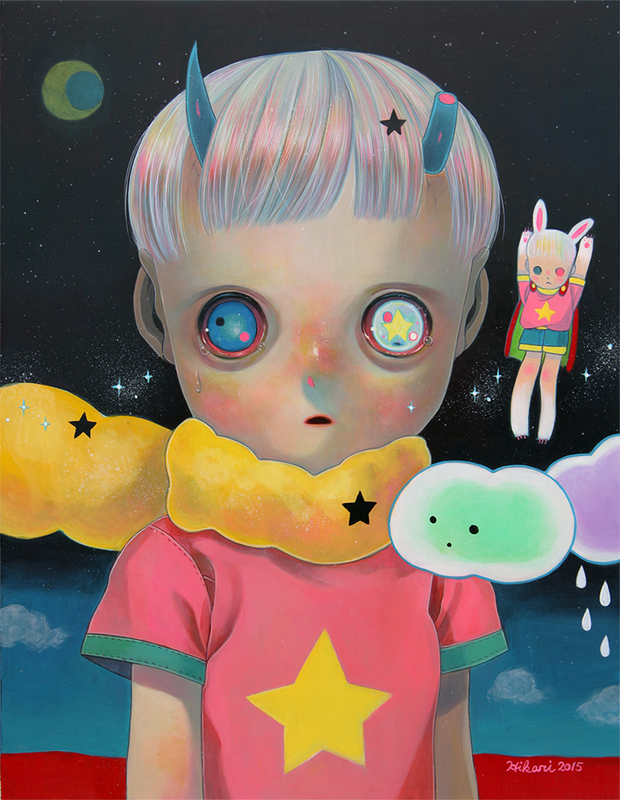 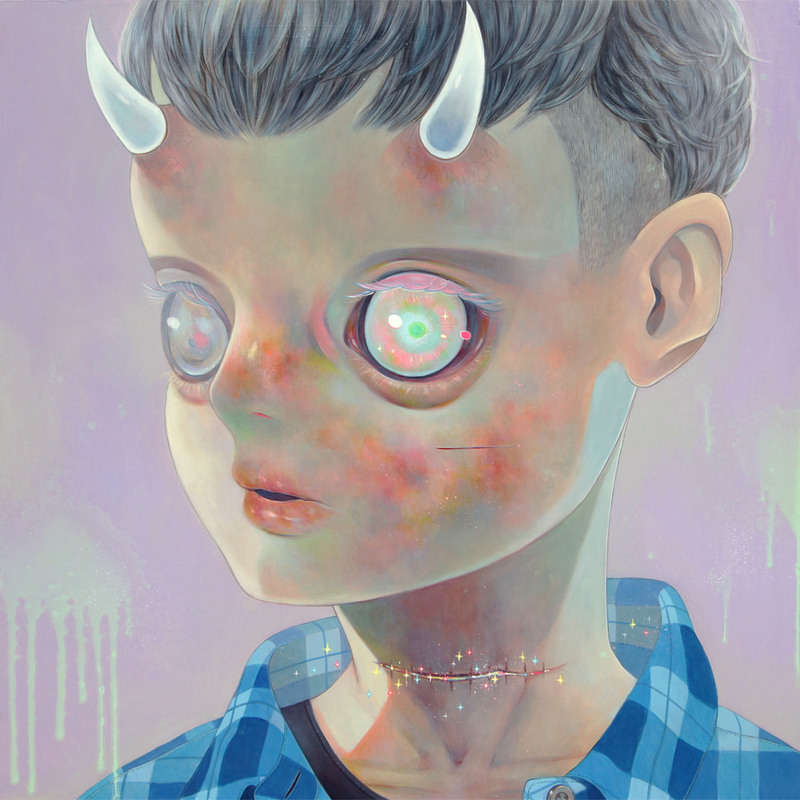 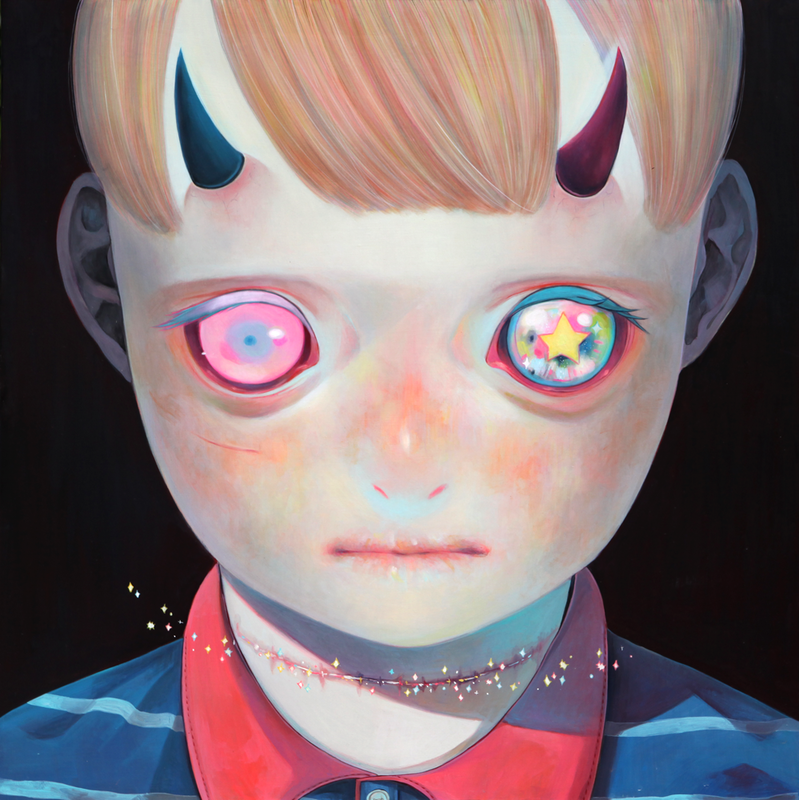 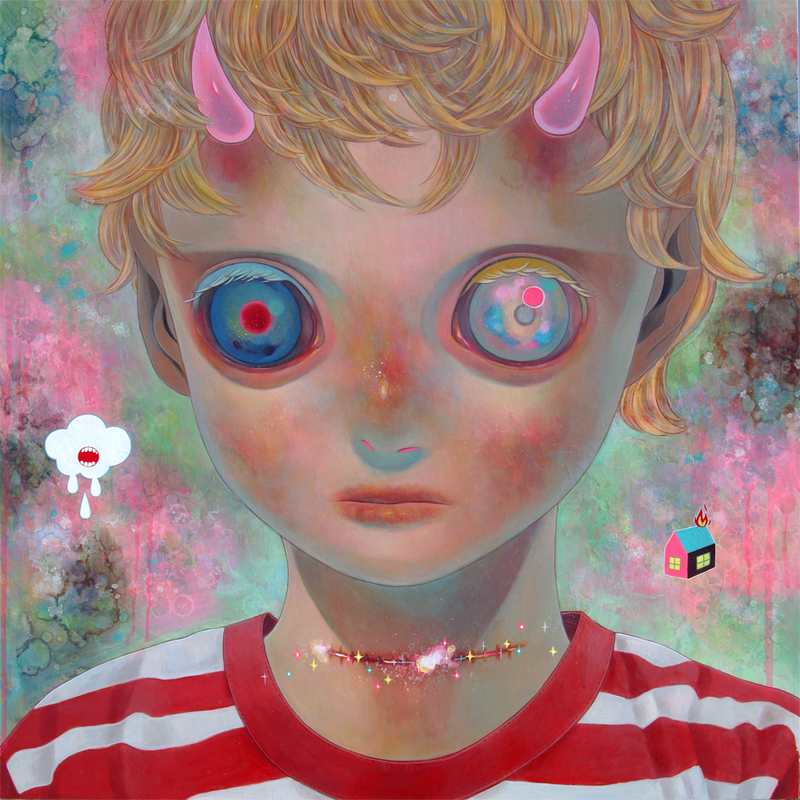 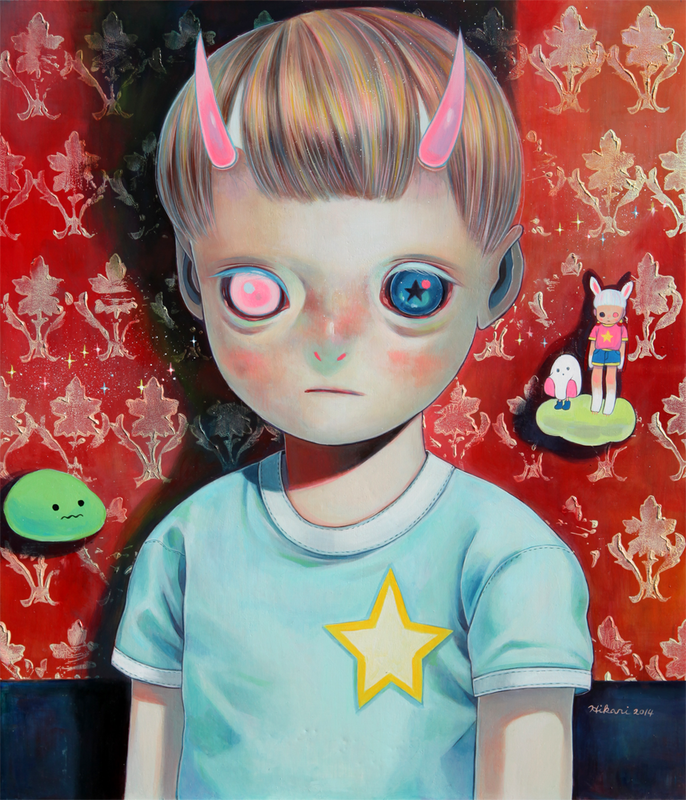 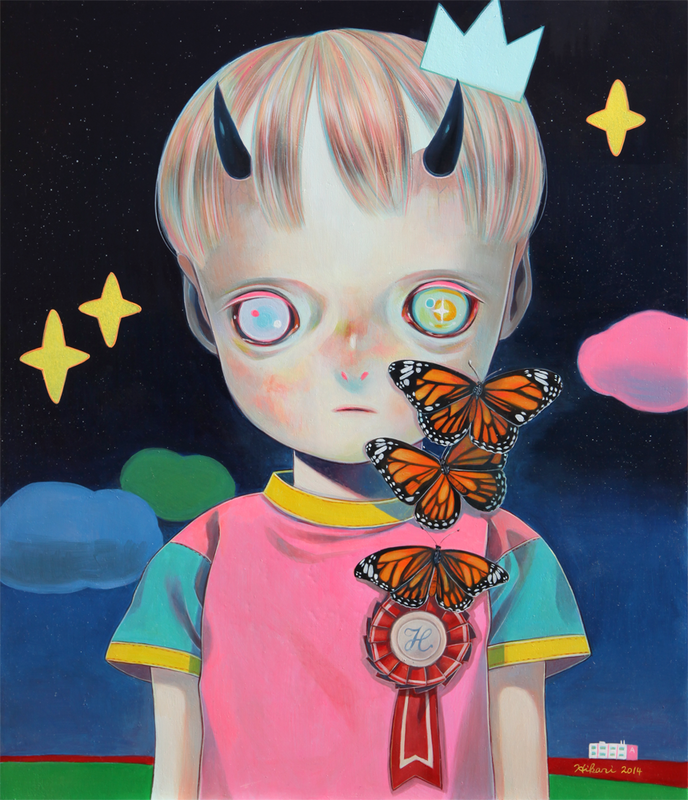 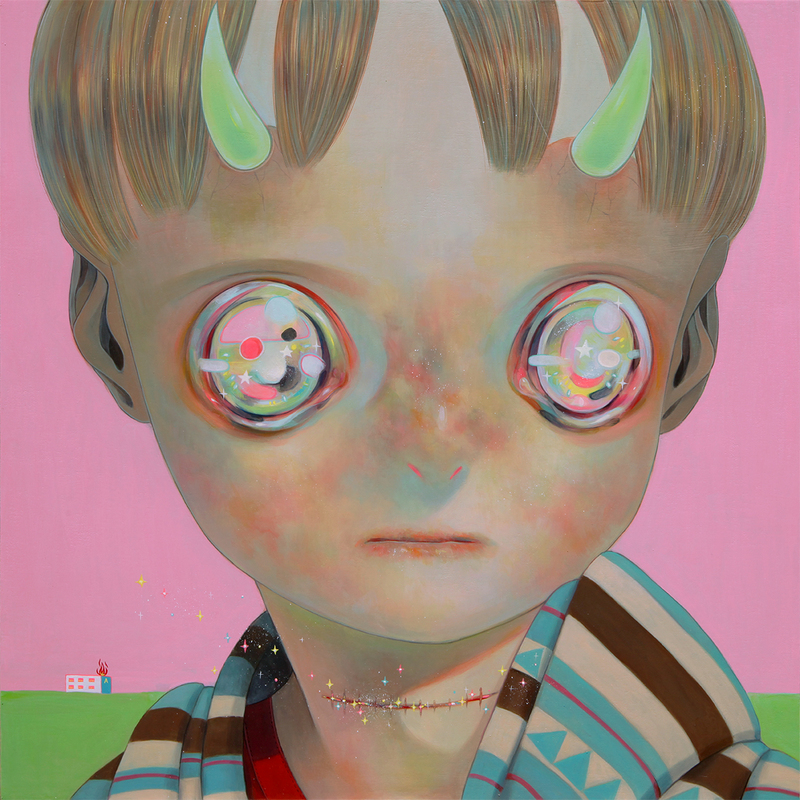 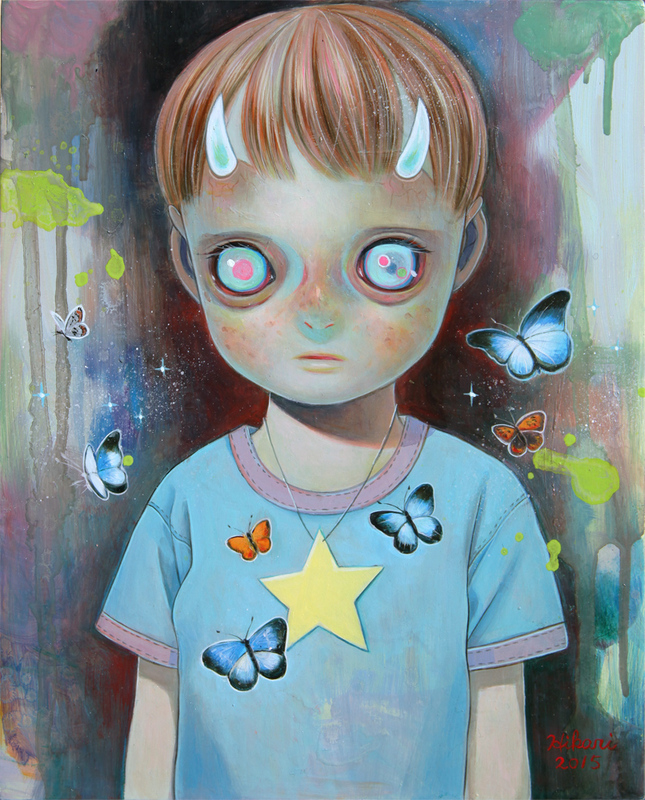 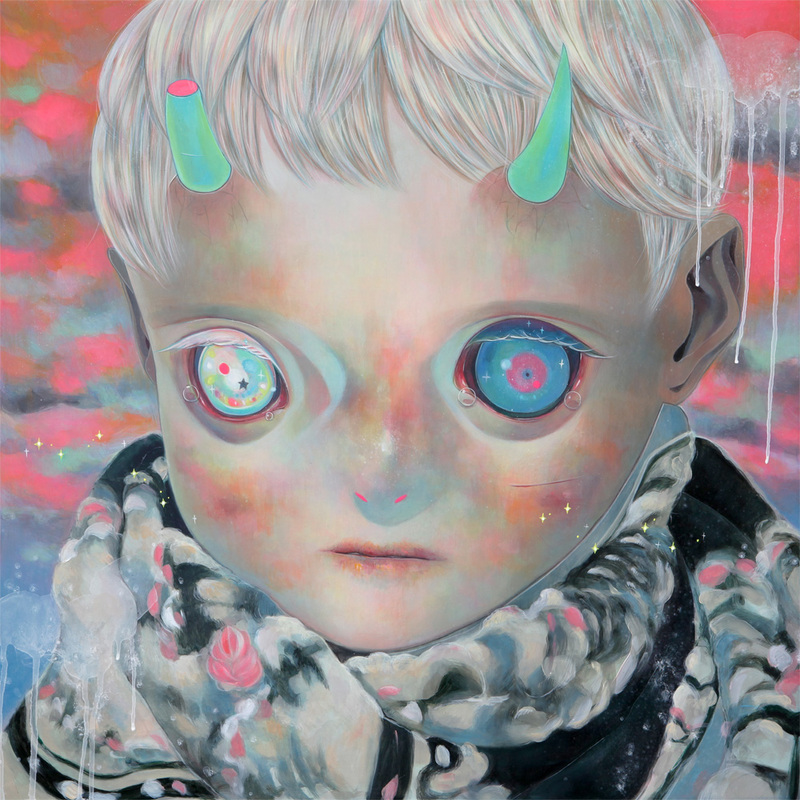 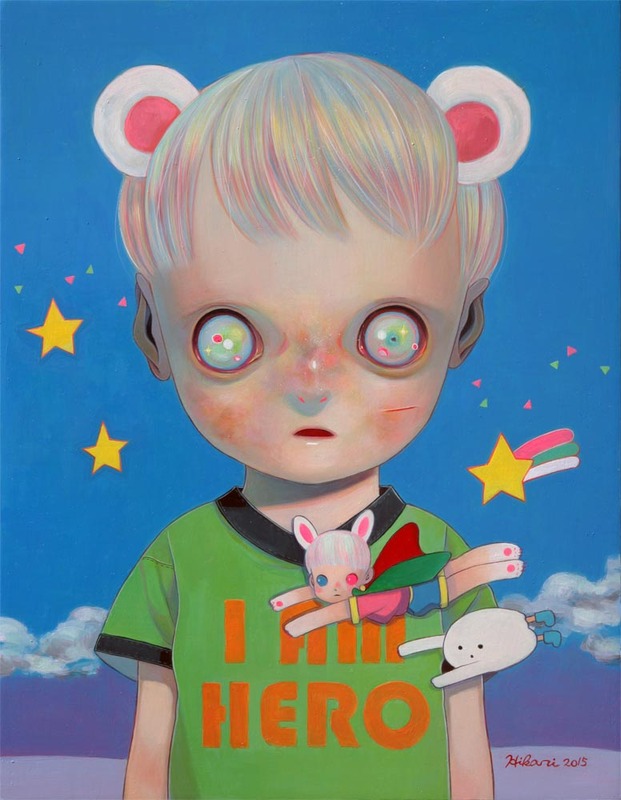 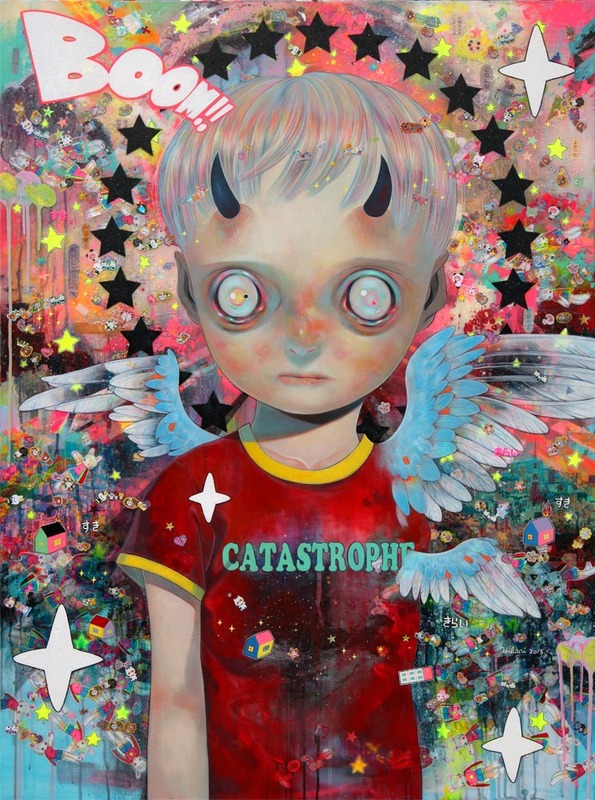 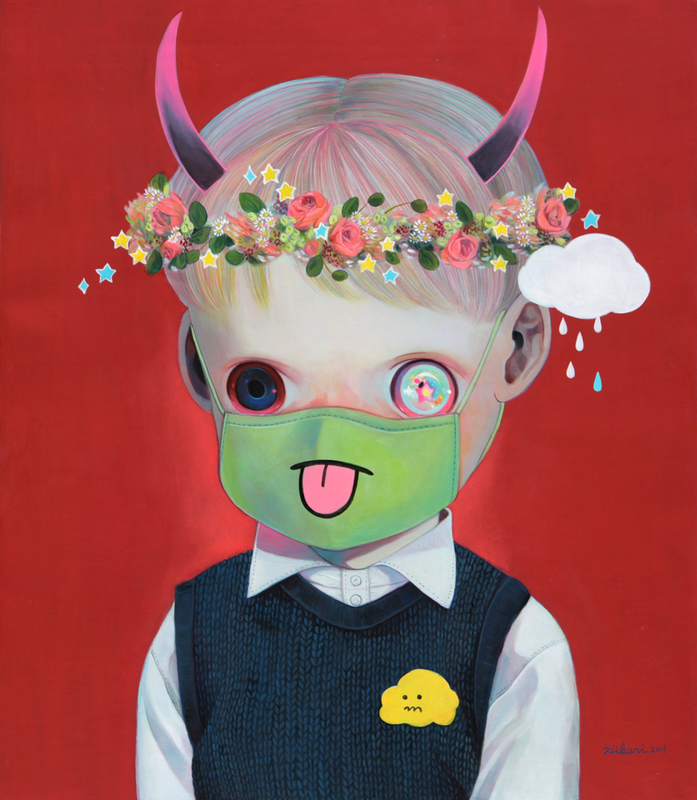 Sparkling and sweet, Hikari Shimoda’s work is at once enchanting and disarming, portraying a world where cuteness and horror coexist. 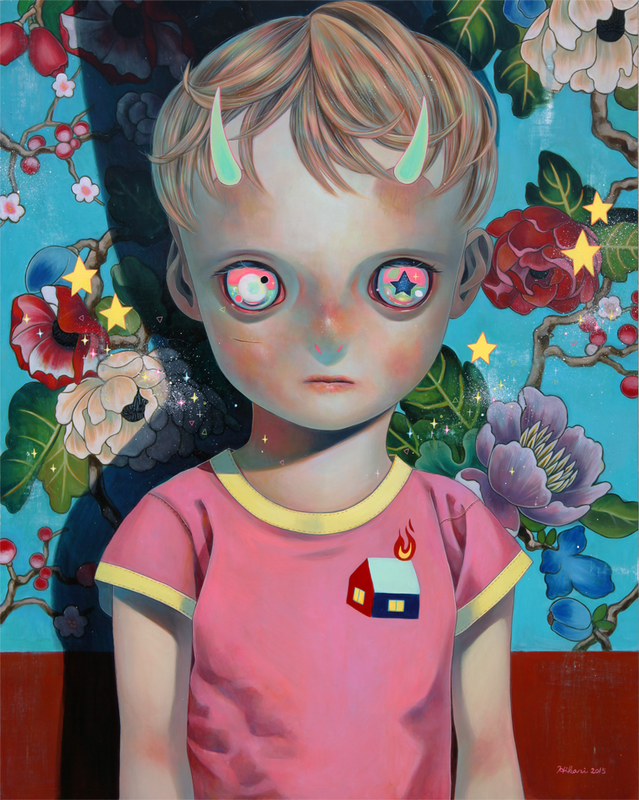 Based in Nagano, Japan, Shimoda first studied illustration at the prestigious Kyoto Saga University of Art and Aoyama Juku School before beginning her career as a professional contemporary artist in 2008. 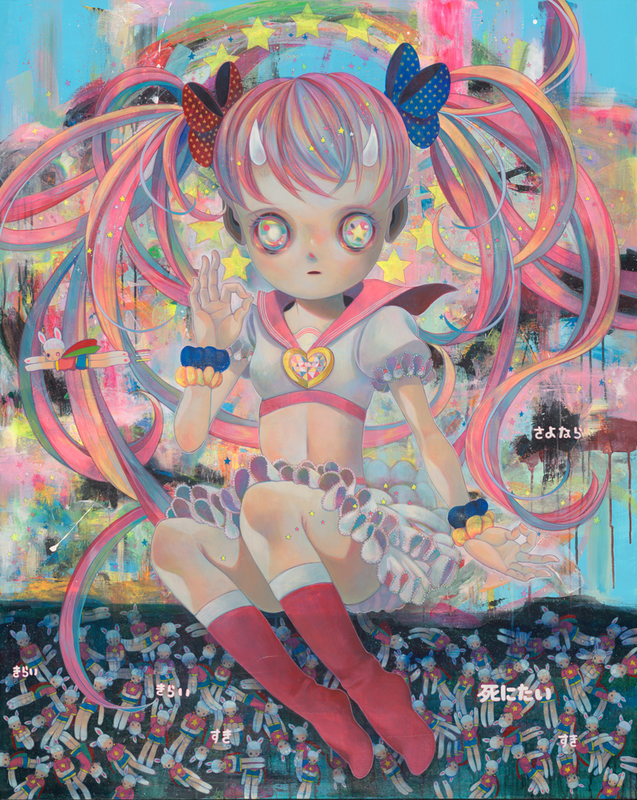 Soon after, she was selected for her first solo exhibition at Motto Gallery in Tokyo and has since held exhibitions in galleries worldwide, including Japan, the United States, Canada, and Europe. 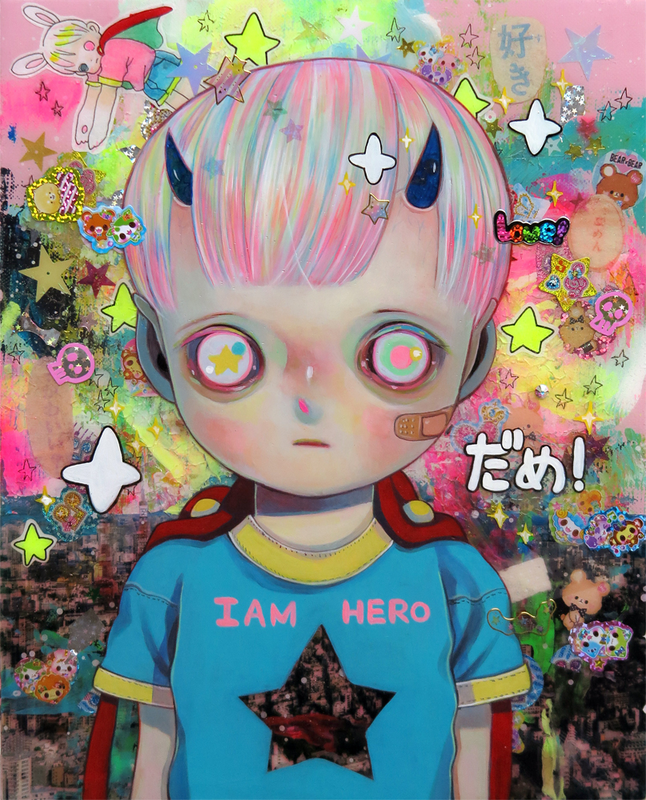 of our fantasy heroes. 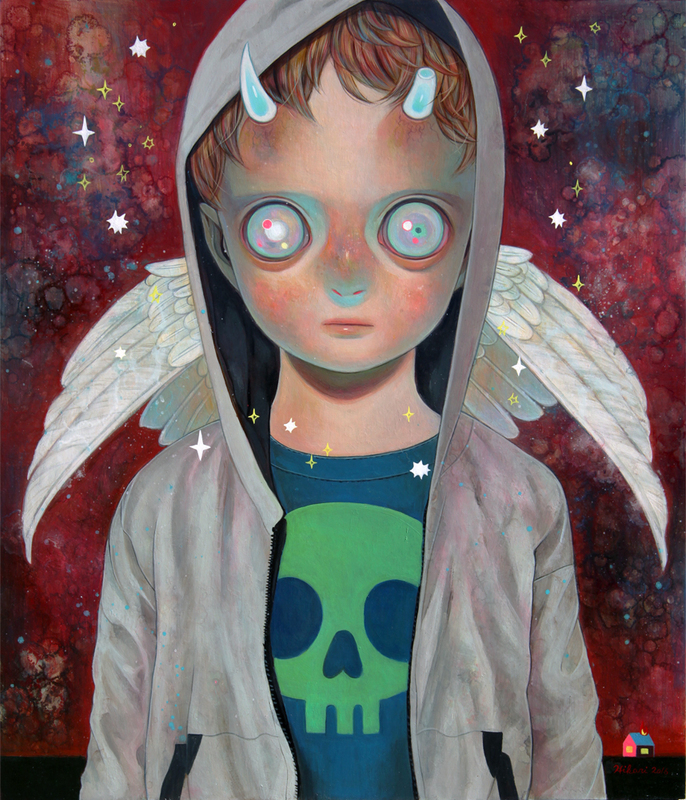 They also represent our adult desire to nurture the children of the world and to defend the world we have constructed. 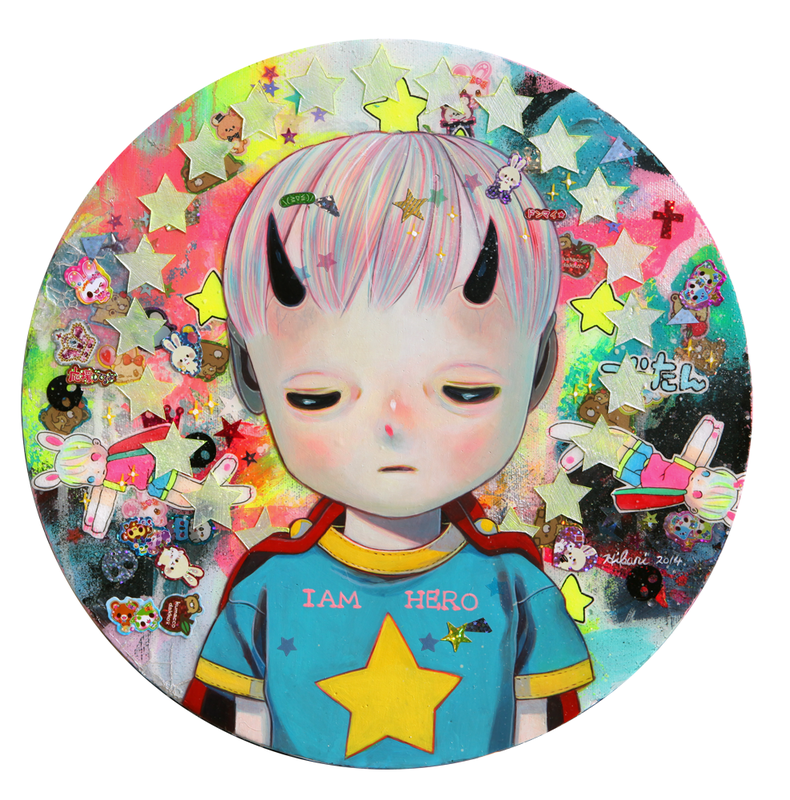 “They are “anyone” who just exists. 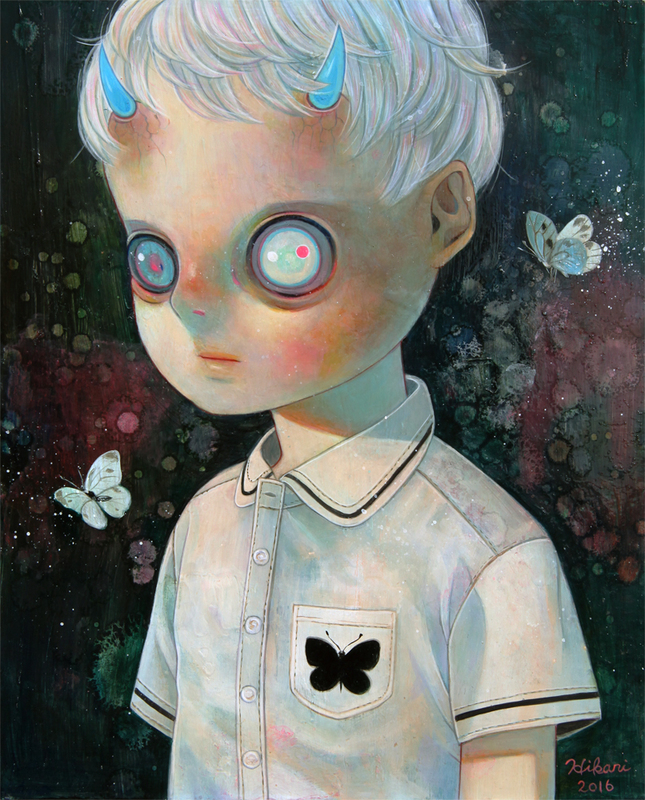 So, they could also exist beyond the realm of being children, and identify with anyone who might appreciate them. 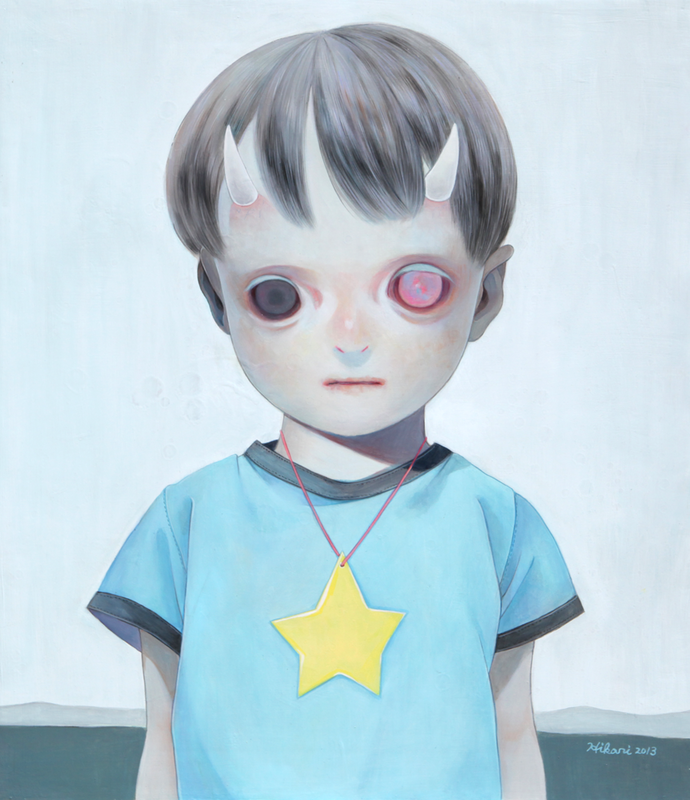 Those children who are wearing a vacant expression of despair and solitude are mirroring the emotions of the people who look at them. 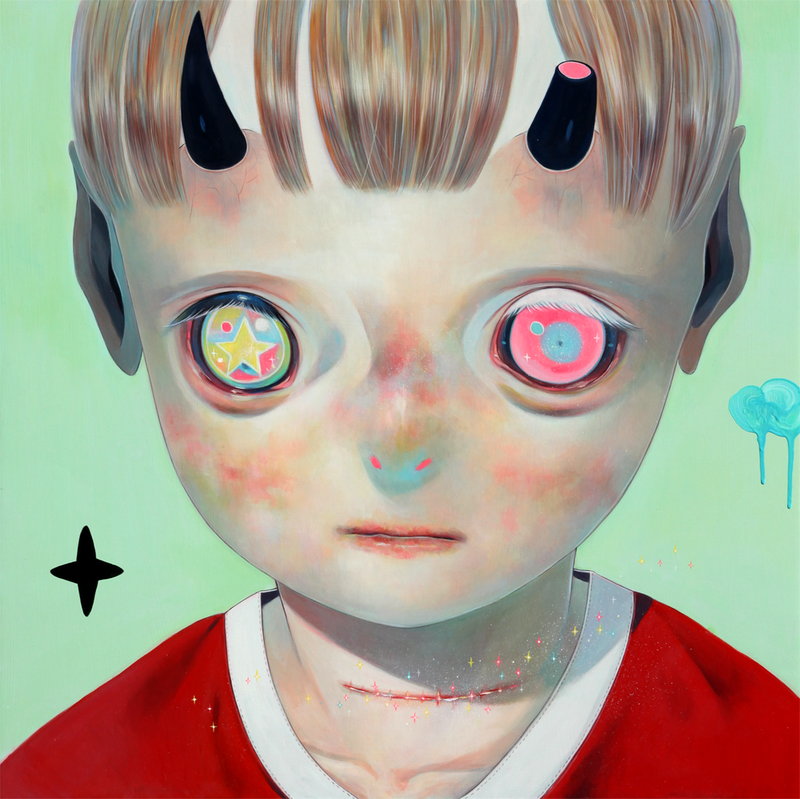 Those vacant children are, so to speak, “cups of my emotions”- something which I could pour my emotion into. 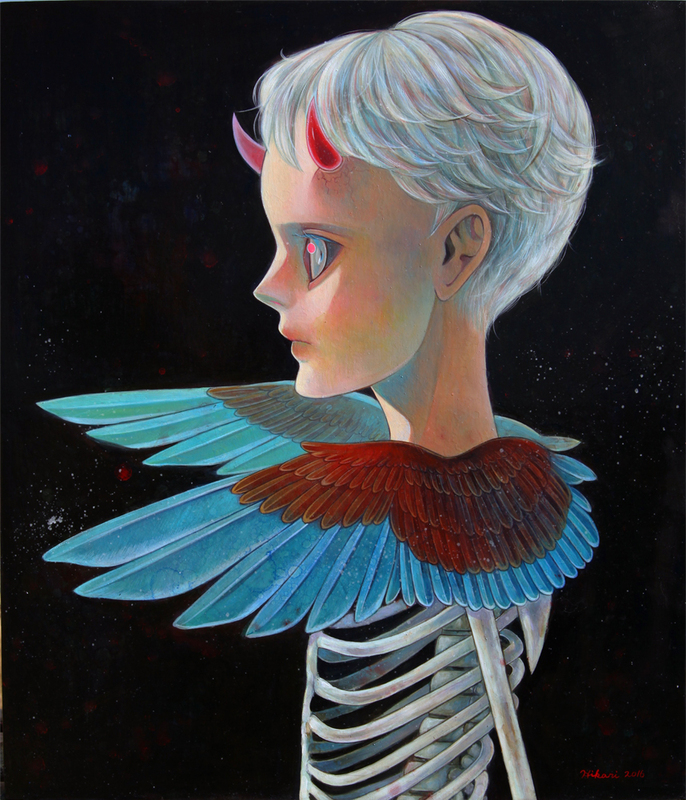 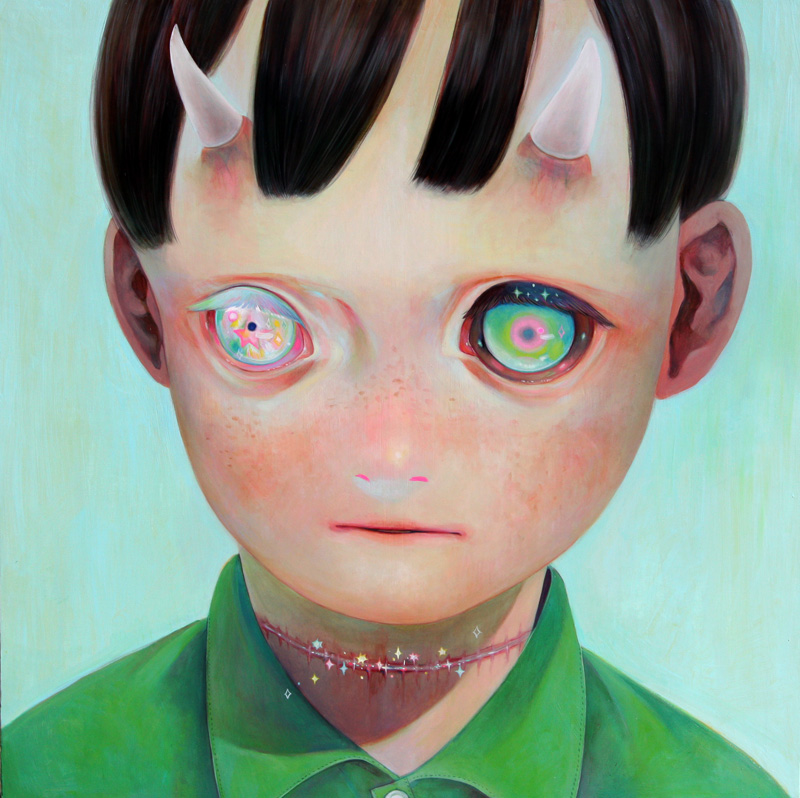 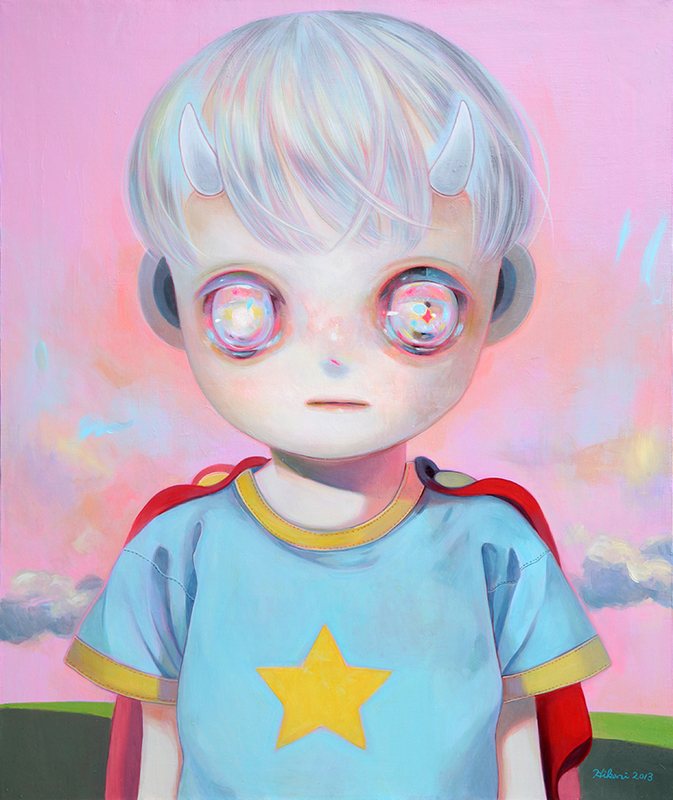 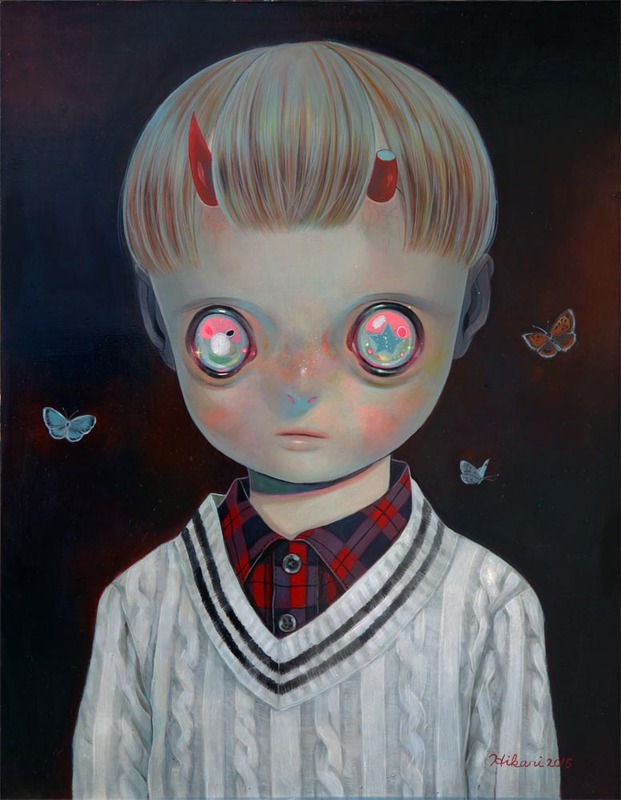 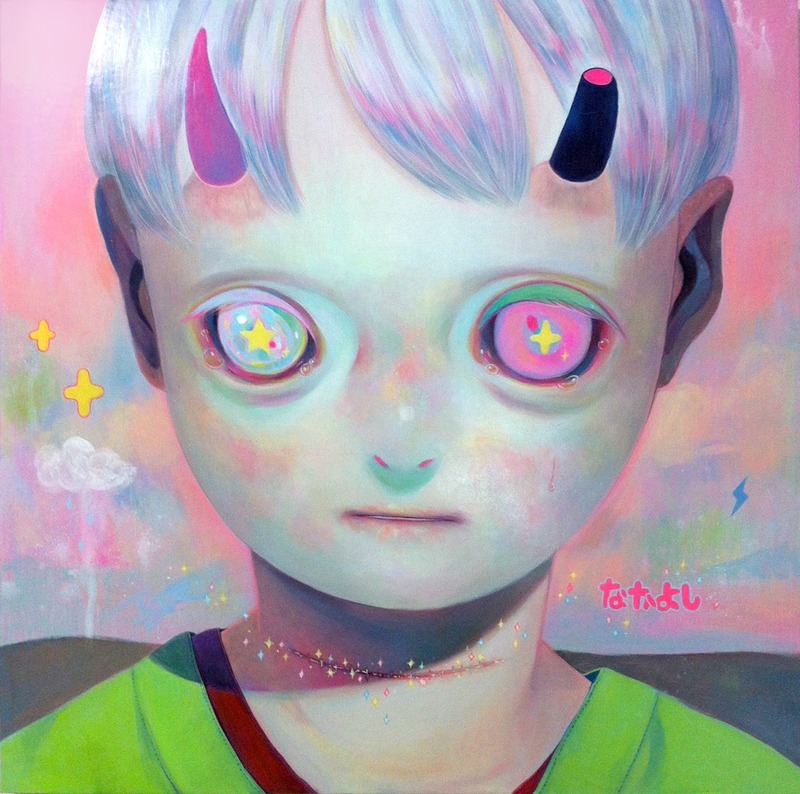 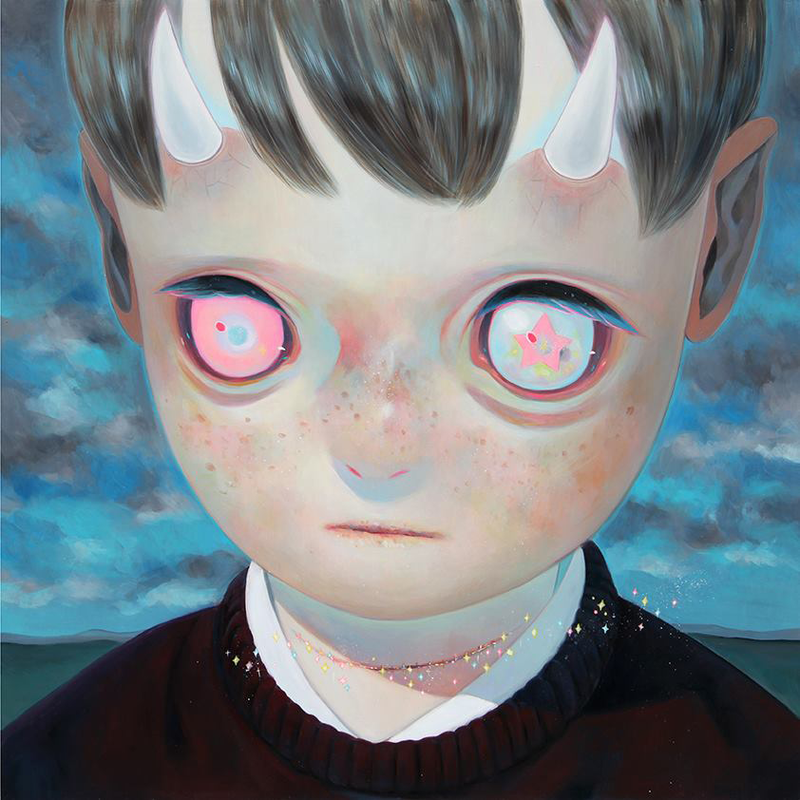 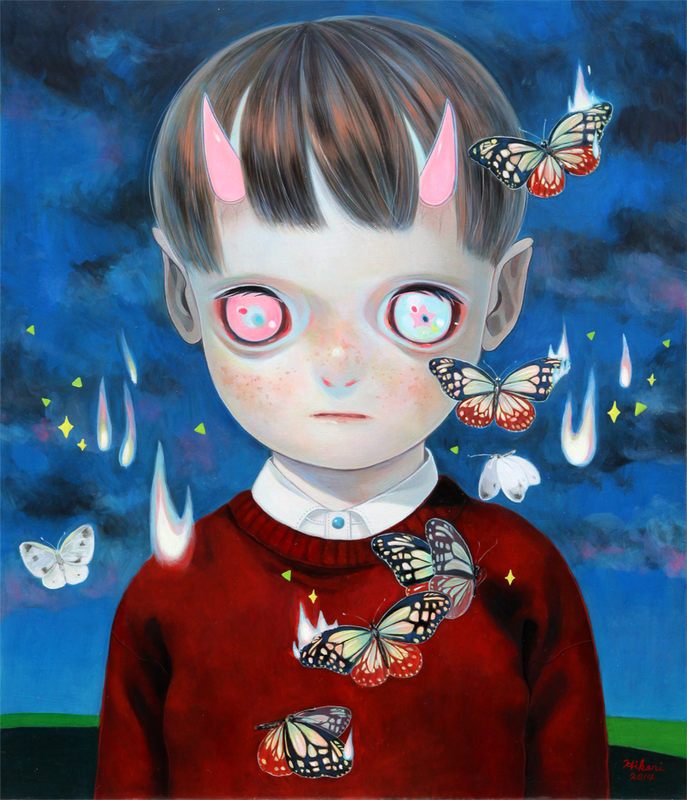 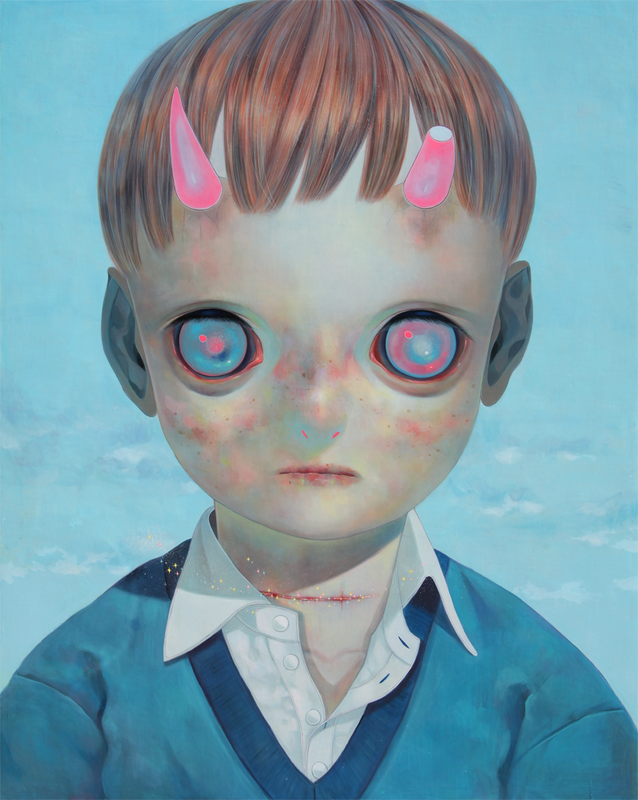 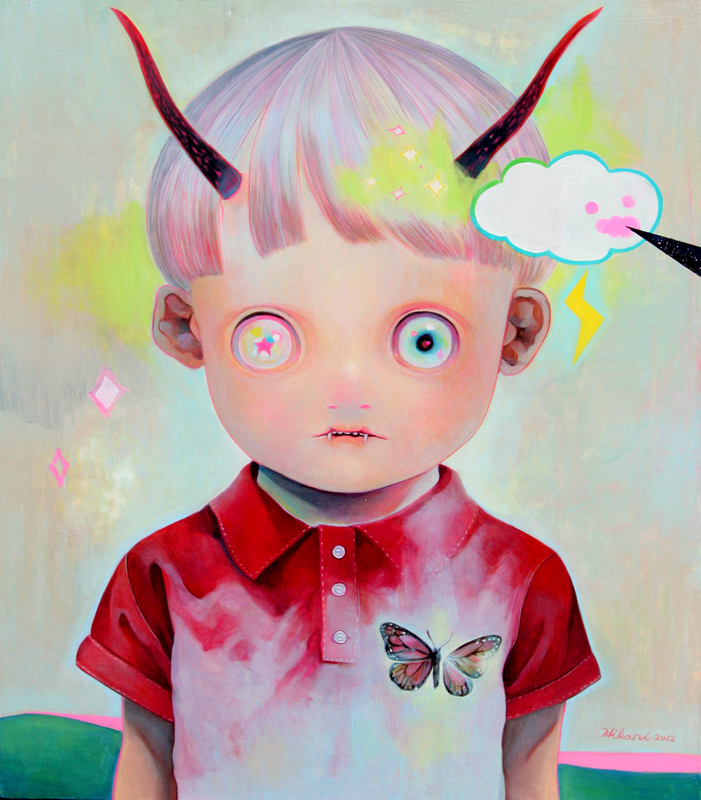 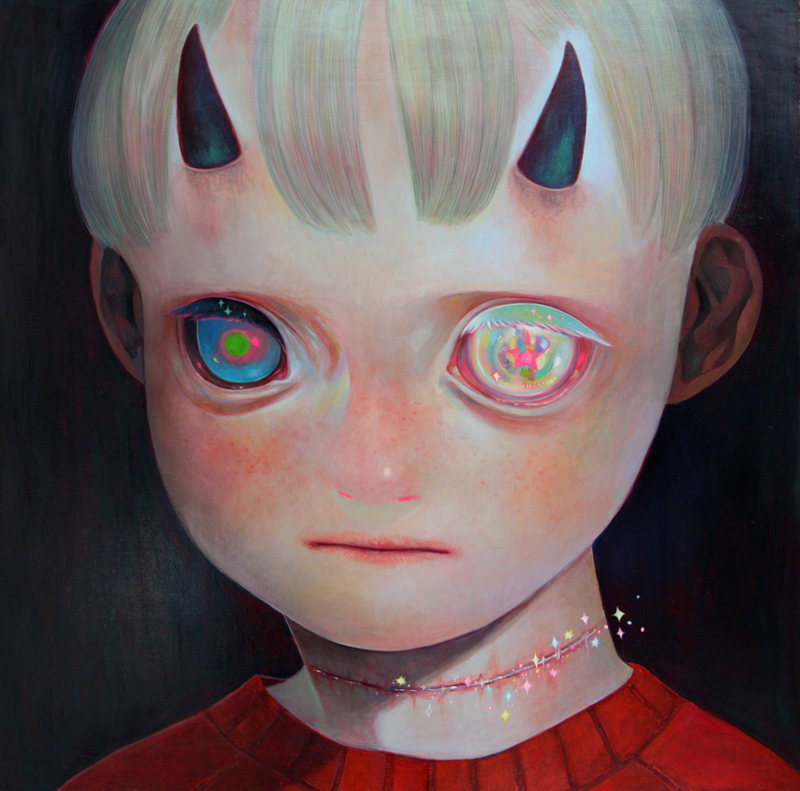 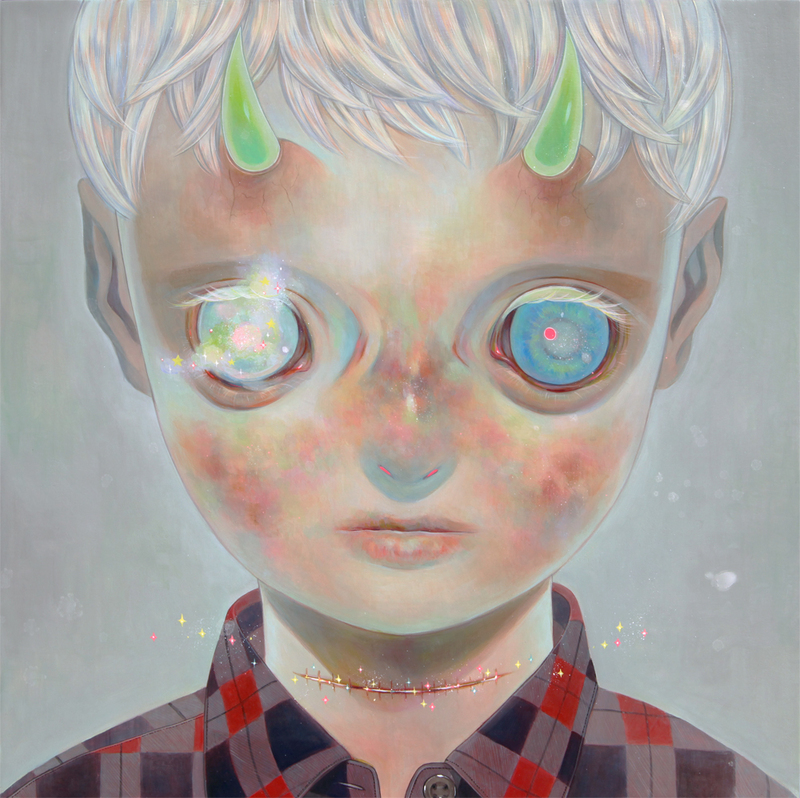 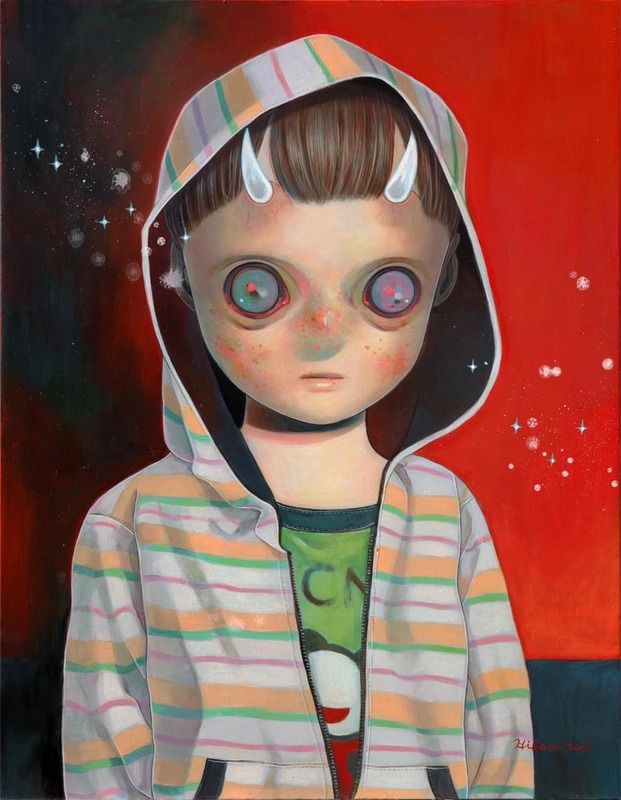 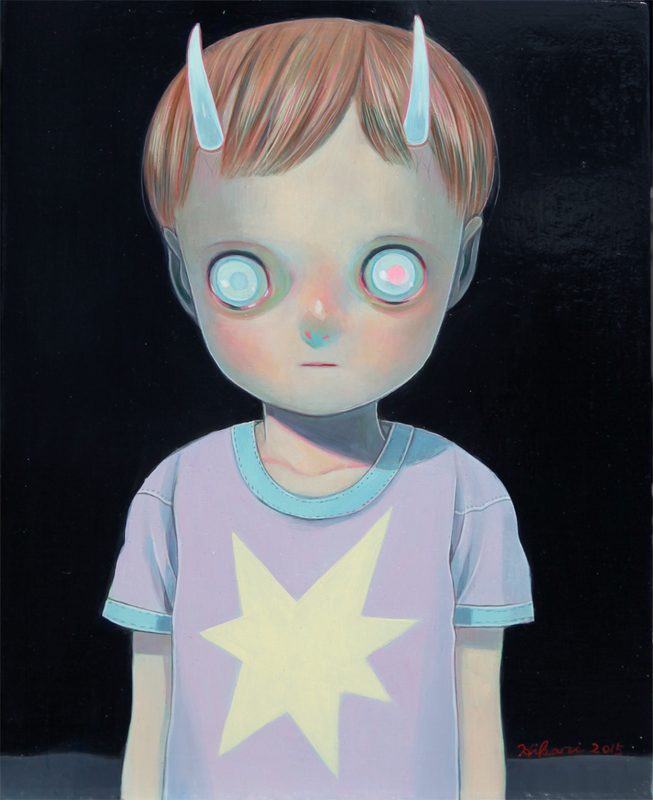 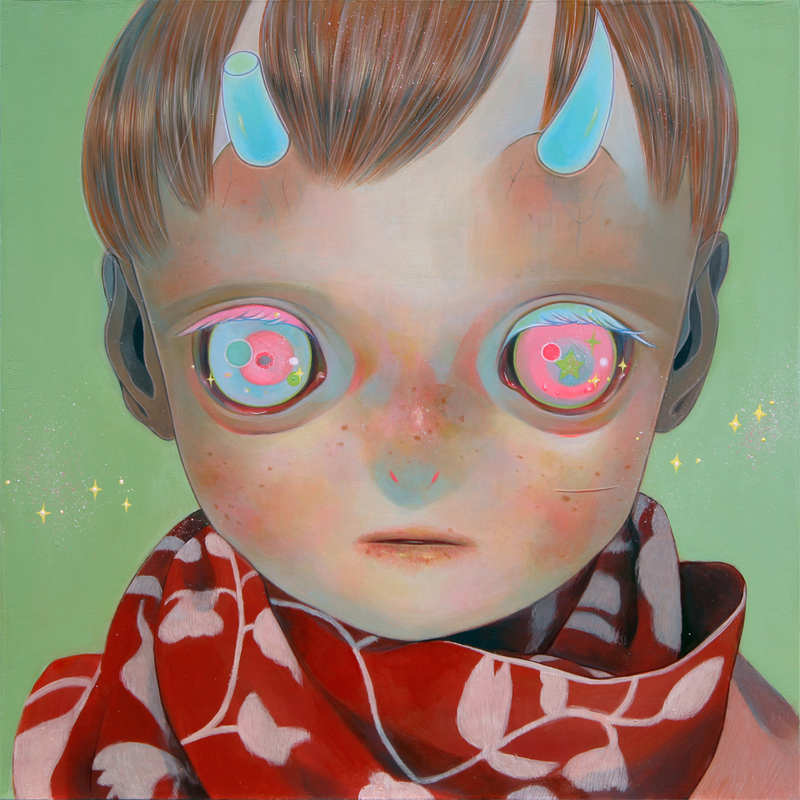 Their sparkling eyes are staring into space, while reflecting both light and darkness, and those horns are a metaphor of wordless emotions like fury and despair that people feel towards unreasonable things in this world.” With each new piece, Shimoda advances her search for salvation and her deeper understanding of this chaotic world. 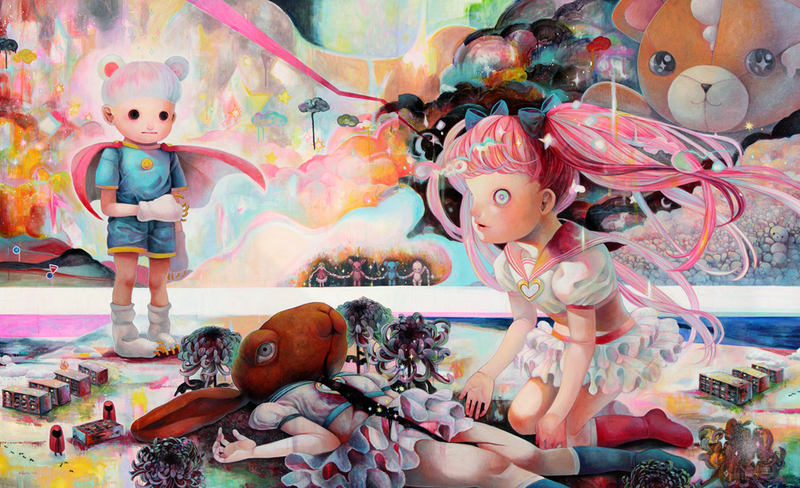 Who Will Save the Magical Girl? 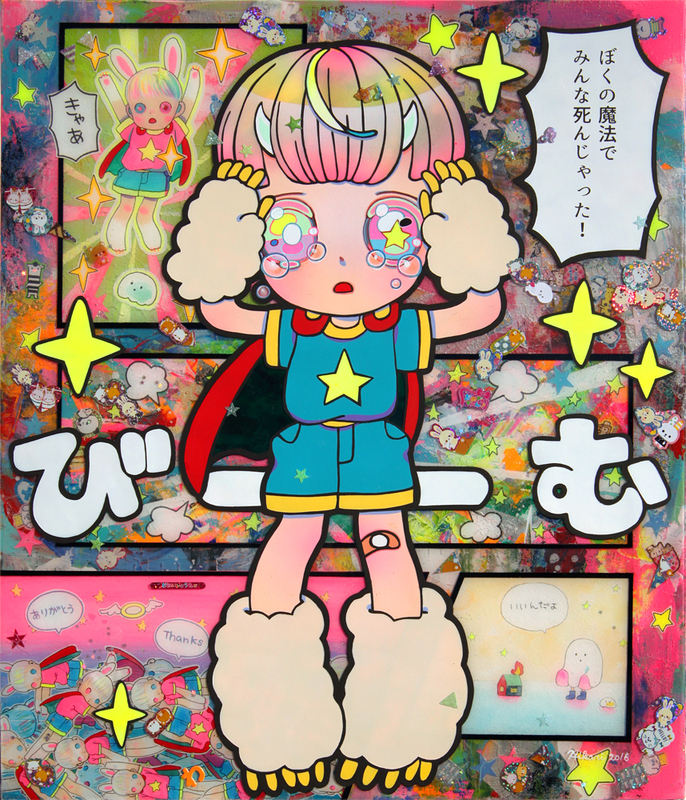 Hikari is teaming up with Apportfolio Asia on her second art figure inspired by her popular characters, Lonely Hero and Obake. 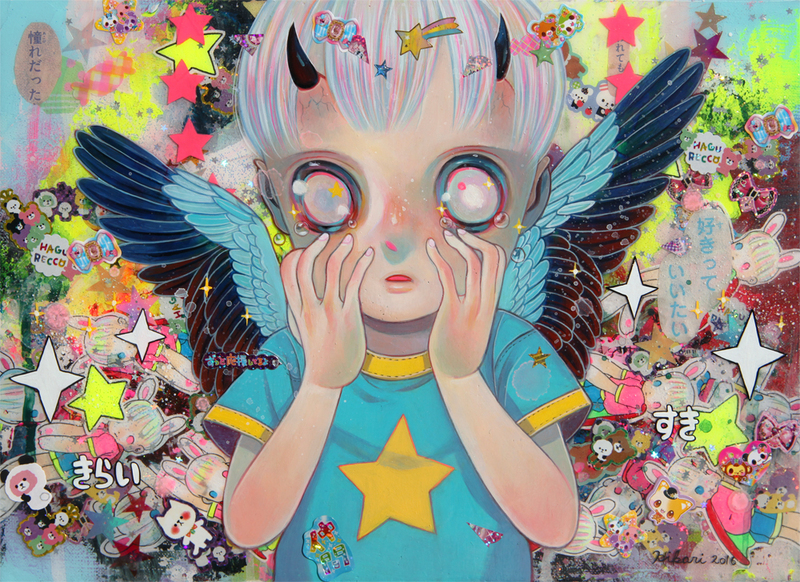 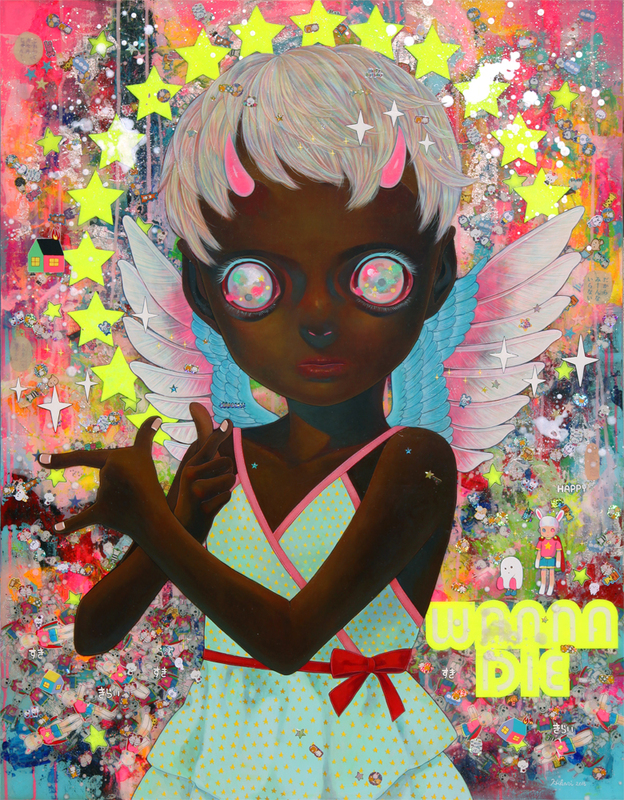 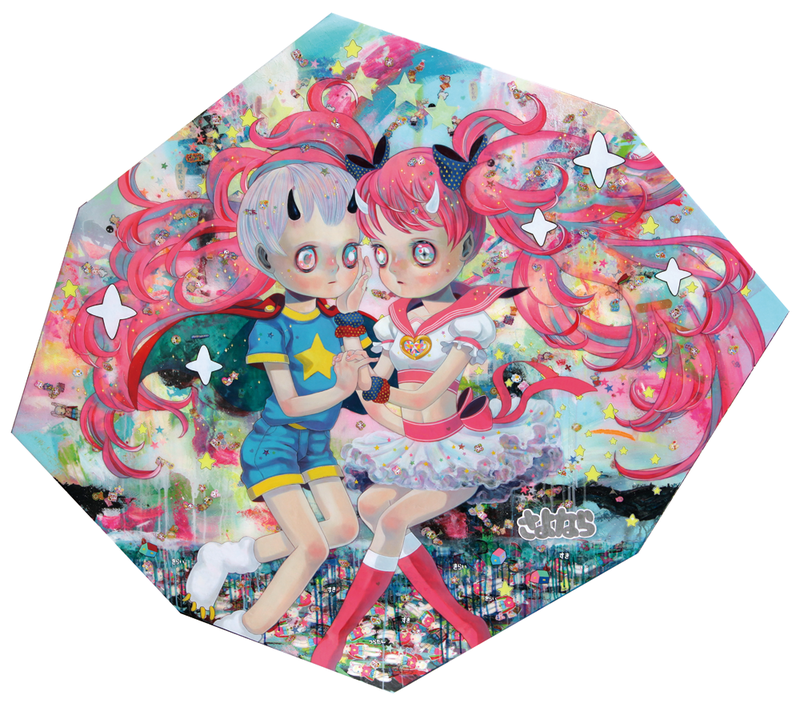 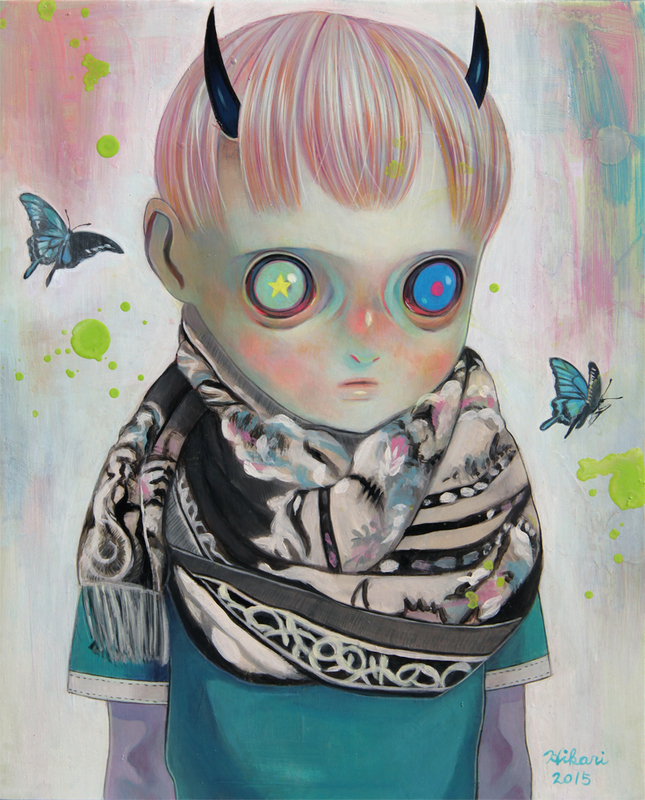 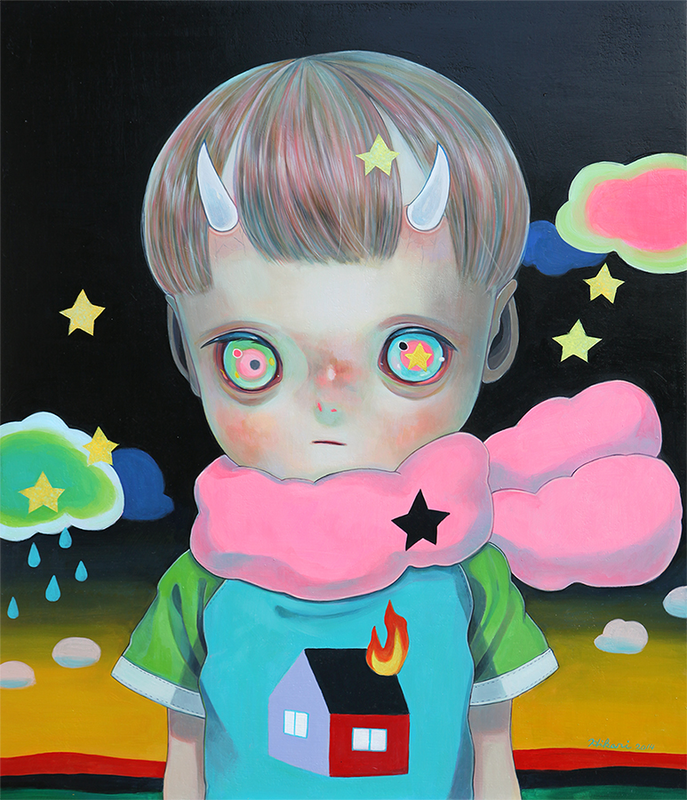 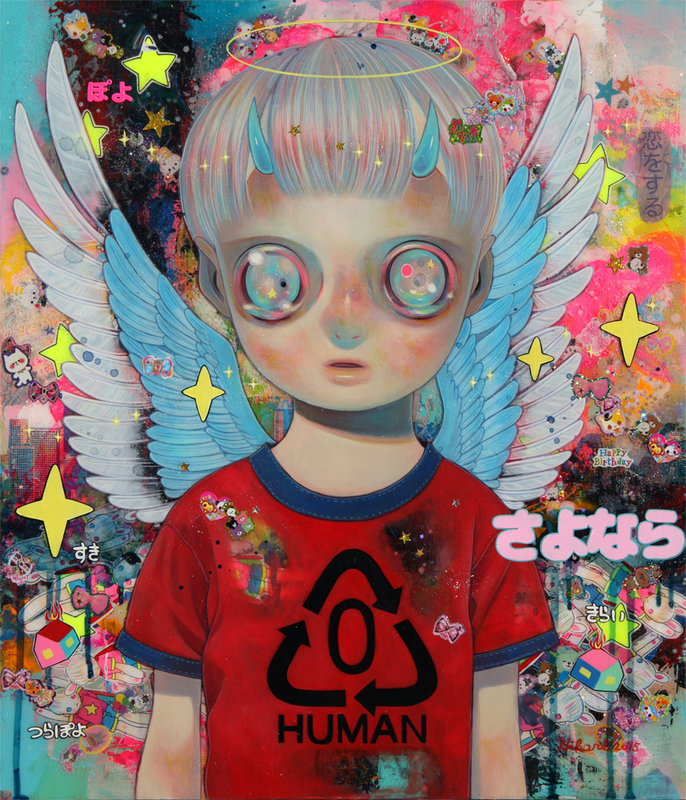 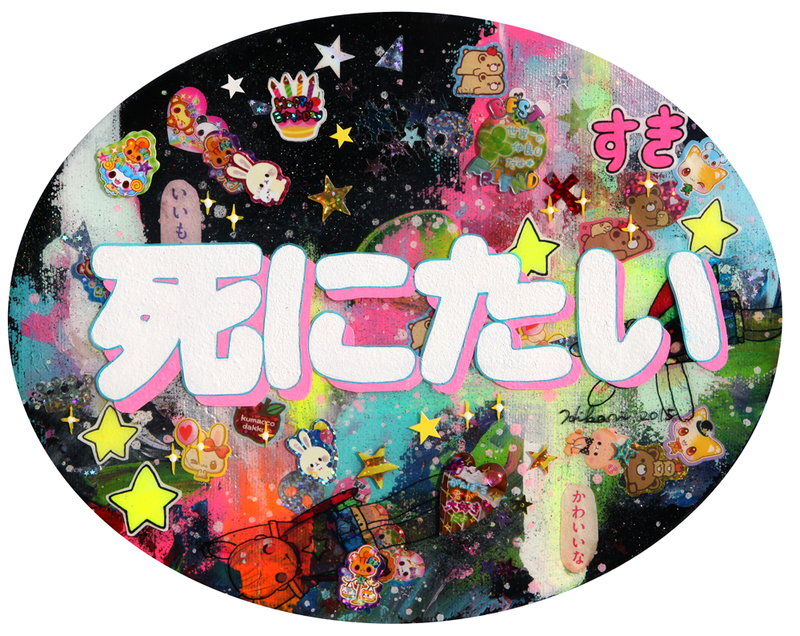 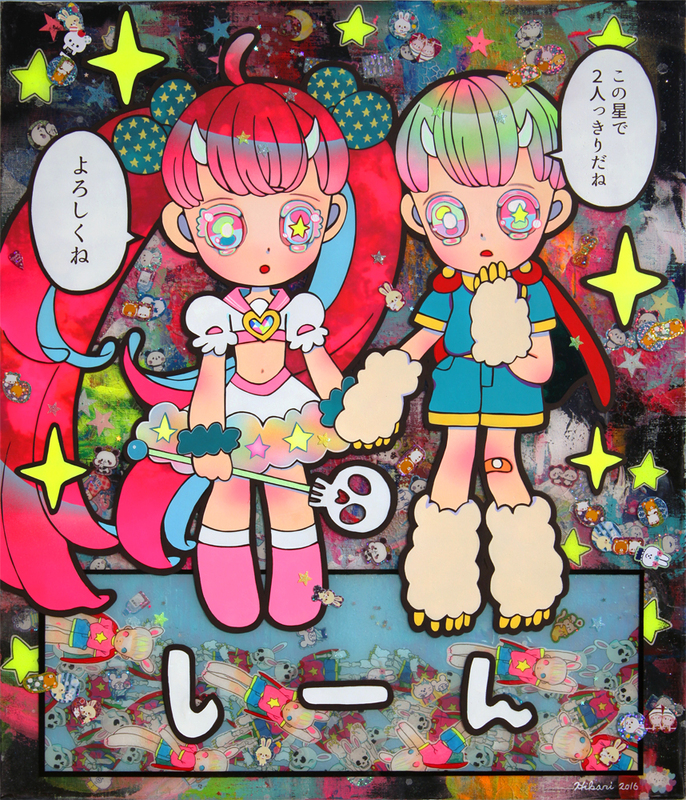 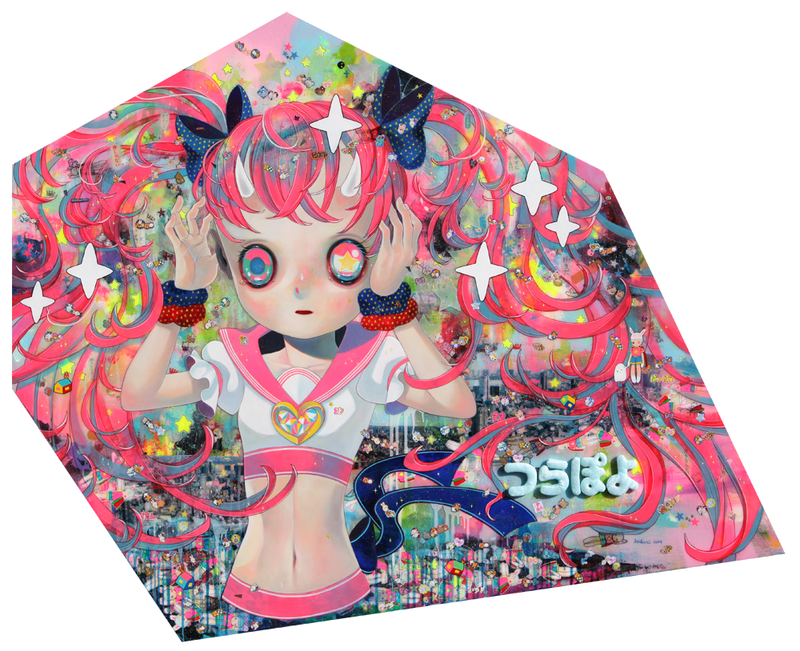 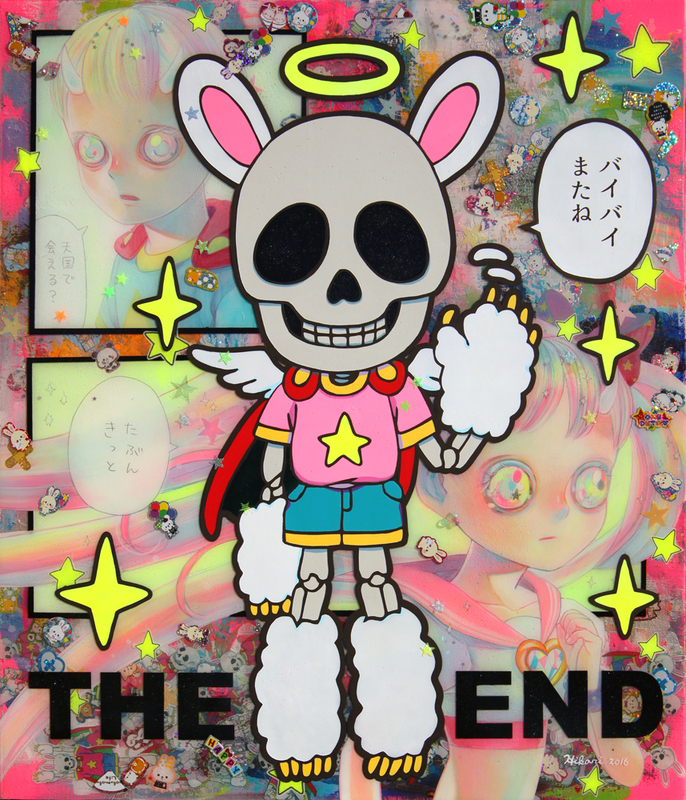 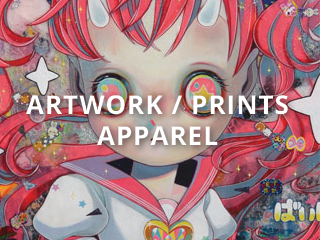 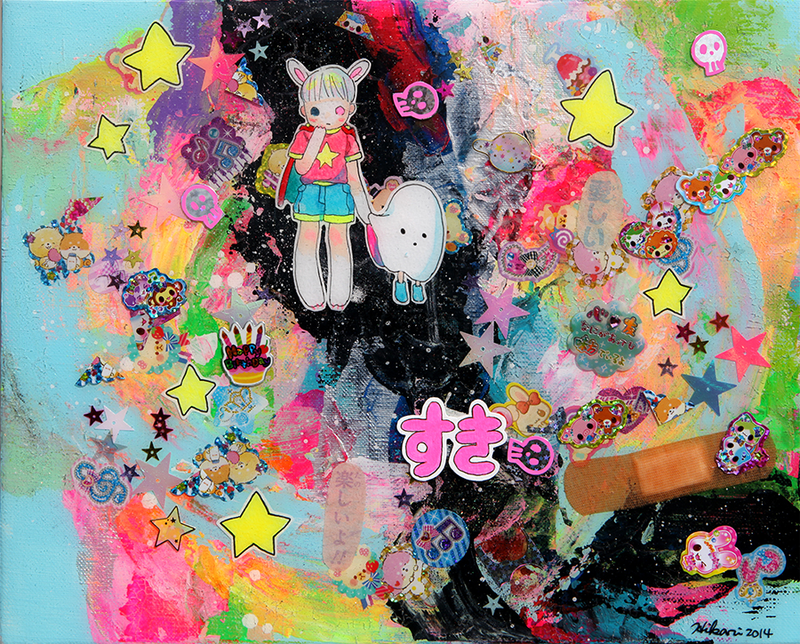 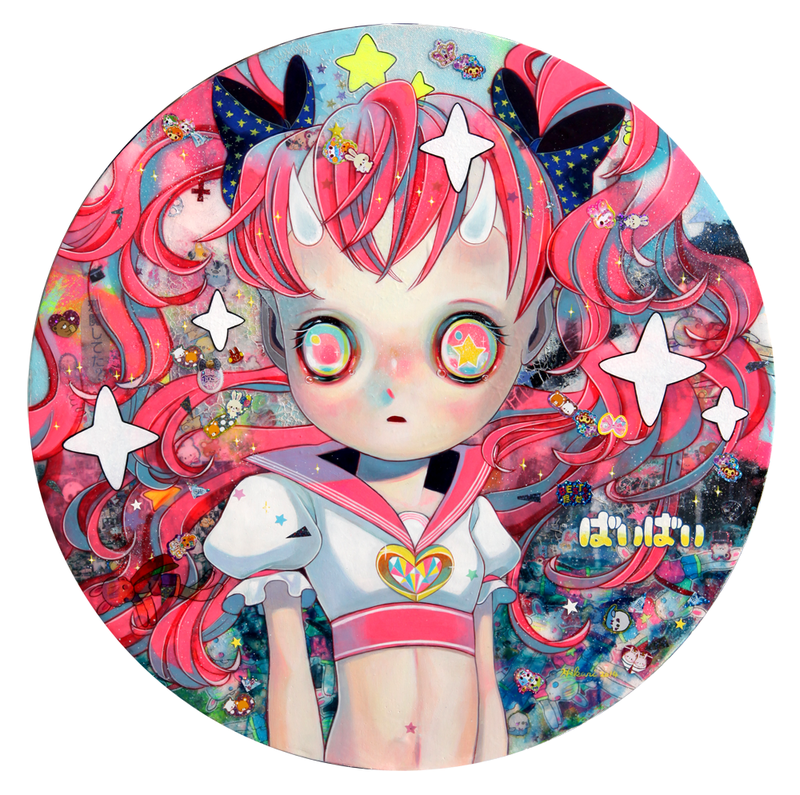 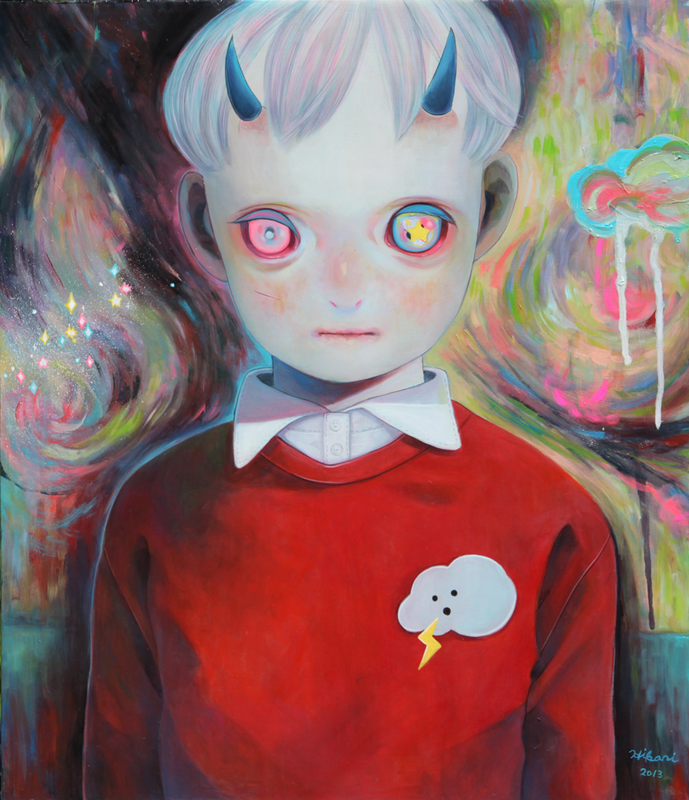 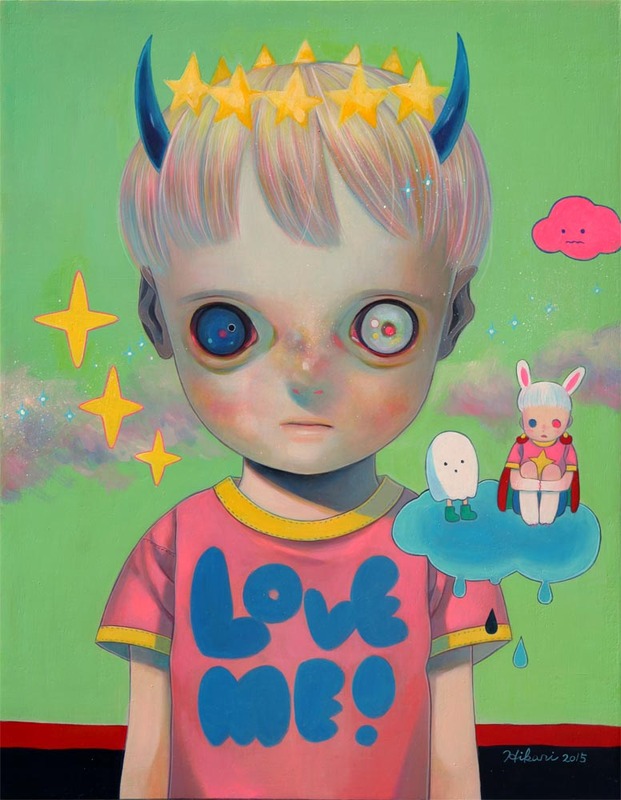 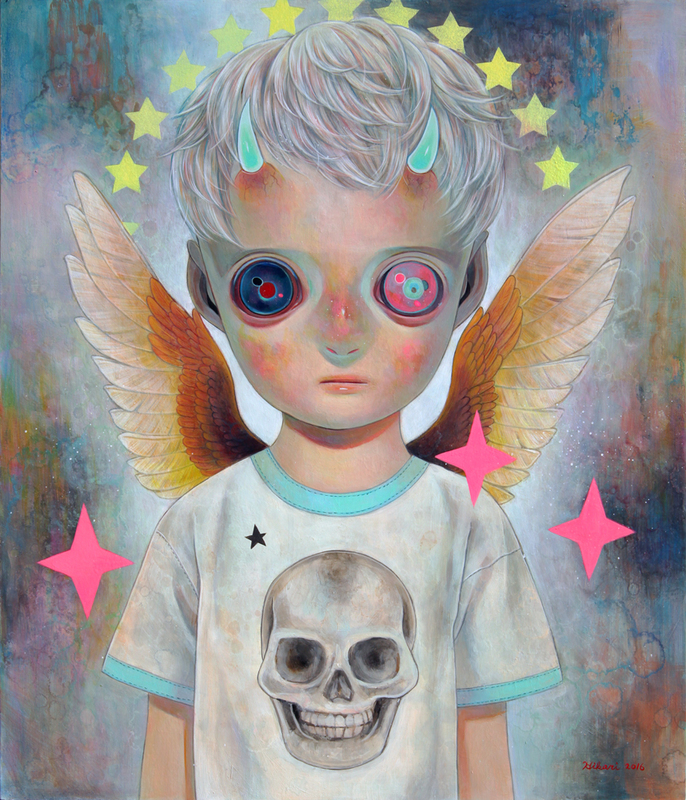 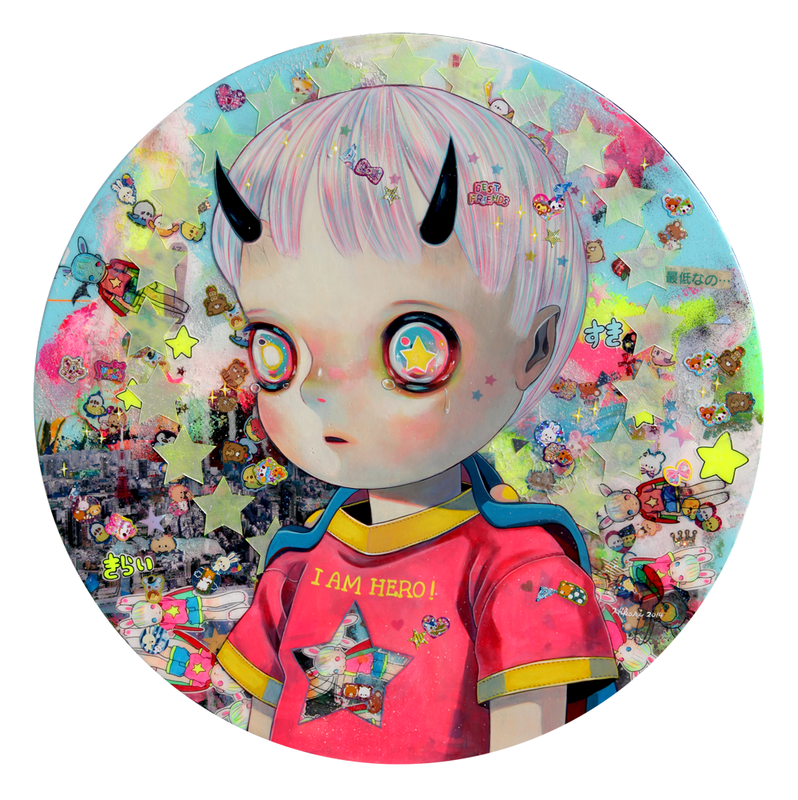 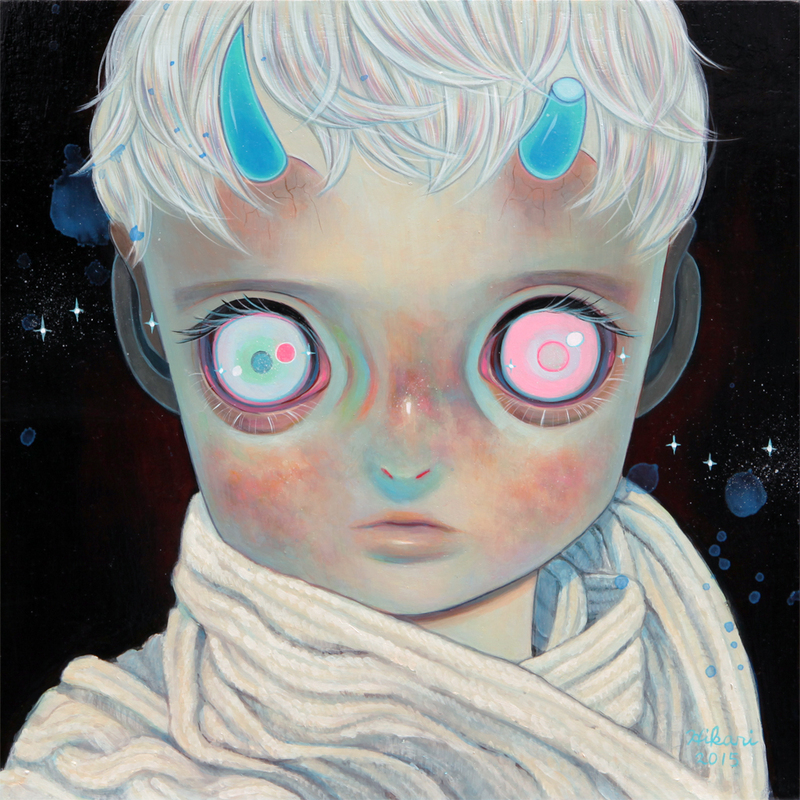 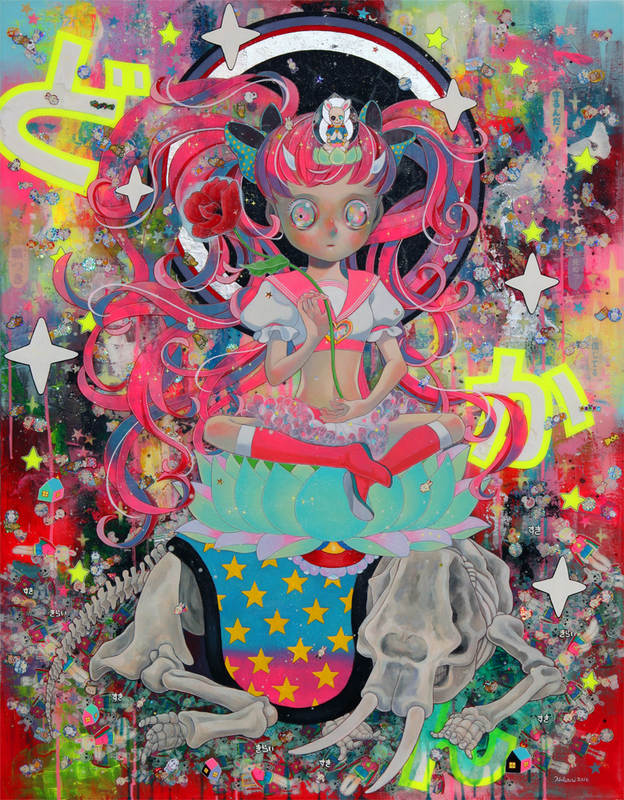 Hikari's art is on view at SCOPE Art Show in New York this weekend!